The Glyphosate saga that had been troubling farmers, regulators, activists and corporations for almost 7 years, finally came to an end with the renewal of the authorization for the infamously notorious pesticide, granted by the European Commission in December 2017. Or did it? Reacting to the widespread institutional and societal concern generated by the uncertainty over Glyphosate’s safety, the European Parliament (EP) has set up a special committee on the authorization procedure for pesticides (the PEST committee), which held its first working meeting in Brussels on April 12th, 2018. Facts surrounding the Glyphosate controversy are known, but it is worth recalling them briefly before considering the PEST committee’s mandate and scope. Glyphosate is an active substance used in plant protections products, mainly – but not exclusively – in agriculture. It is available to European farmers since 2002, when the European Commission first authorised it, for a period of 10 years, under Council Directive 91/414/EEC (subsequently repealed by Regulation 1107/2009). Since then, the Monsanto-owned patent has expired and, although the corporation is still one of the main producers of Glyphosate-based pesticides, several other companies have started synthesising the compound. As of today, it is the world’s most widely used pesticide (826 million kg/year as of 2014). 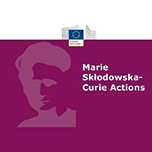 It is starting from these premises, that the first renewal of Glyphosate’s authorization became a major case of politicization of science in the European Union (EU). It all began in 2010, when a consortium of companies (Glyphosate Task Force) filed an application for renewal of Glyphosate’s authorisation to German authorities. Having carried out a preliminary evaluation, Germany, in its capacity of rapporteur Member State, presented a favorable draft assessment report to the European Commission and the European Food Safety Authority (EFSA). In particular, Glyphosate did not seem to present carcinogenic properties. Pending EFSA’s assessment, however, a scientific dispute over Glyphosate’s safety arose. Diverging views emerged, in particular with regard to Glyphosate’s carcinogenicity, between EFSA and the International Agency for Research on Cancer (IARC, a body of the WHO). According to the latter, Glyphosate was “probably carcinogenic”; EFSA disagreed and, in its October 2015 conclusion, found glyphosate “unlikely to pose carcinogenic hazard to humans”. Such finding was subsequently restated by the European Chemicals Agency (ECHA) in March 2017. 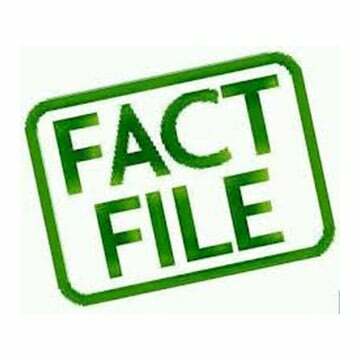 Relying on its two expert agencies’ assessments, the European Commission envisaged a generous 15 years renewal (the maximum period allowed under the 2009 regulation) without any restrictions as to the use of the active substance. The draft implementing regulation proposed by the Commission, however, failed to meet Member States’ support in the Standing Committee on Plants, Animals, Food and Feed (the PAAF Committee) operating under the comitology procedure in February 2016. By then, the scientific disagreement over the carcinogenic properties of the pesticide had in fact become a political dispute, resulting in the “usual” deadlock at Committee level. 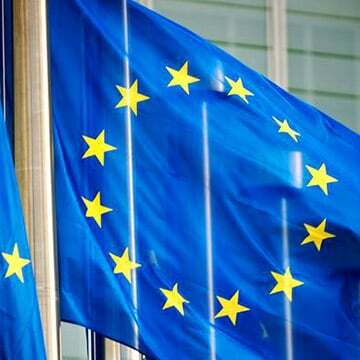 The European Commission reacted to such internal and external pressures by gradually reconsidering its initial proposal. 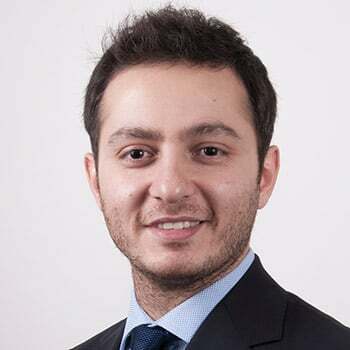 Hoping to gain Member States’ votes in the PAAF Committee, it first downsized the renewal to a 10 years period and, failing once again to reach the required majority, to mere 5 years – the minimum according to the 2009 regulation. Only then the Member States’ Appeal Committee gave the green light to the draft implementing regulation, which was finally adopted by the Commission in December 2017. Different factors can be seen to have twisted a pesticide authorisation renewal into such a politically contentious issue. Among these, some relate to the not always smooth – yet unavoidable – dialogue between science and regulation, others to flaws inherent to the regulatory process and institutional design itself. As to the former, it has been noted how the conflicting findings of IARC and EFSA are at least in part rooted in the different criteria and methodologies adopted by the two expert bodies (IARC having carried out a hazard assessment, based on the intrinsic properties of the substance, EFSA a risk assessment, which takes into consideration actual exposure to it). In regulatory terms, this poses the problem of what counts as scientific uncertainty, and therefore whether the precautionary principle can be legitimately invoked or not. On the other hand, the alleged lack of transparency as to the evidence considered by EFSA alimented concerns over the influence of corporate interests on the agency’s determinations, to the detriment of public trust in the EU regulatory processes’ independence. It is against this background that the European Parliament has set up the PEST committee. Established under rule 197 of the EP’s rules of procedure, the special committee is composed by 30 members and will be in office for 9 months, running from 12 March 2018, when it held its constitutive meeting in Strasbourg. Drawing on the Glyphosate dispute, its mandate aims at tackling broader issues of transparency and accountability of EU risk governance. 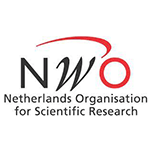 Not only is the PEST committee expected to assess whether the Commission has complied with Regulation 1107/2009 when renewing Glyphosate authorisation, but it is also endowed with a “multidisciplinary” review of the whole pesticide authorisation procedure, aimed at addressing its legal, institutional and (even) scientific weaknesses. The Committee shall assess the EU agencies’ (in primis EFSA and ECHA) compliance with the relevant rules, guidelines and codes of conduct and evaluate the procedure’s transparency and independence, especially from industry. In particular, the committee will have to shed light on possible conflicts of interests (at all levels, including rapporteur Member States’ bodies) affecting the approval procedure, and evaluate whether the relevant EU agencies are adequately equipped – both in terms of staff and of financial resources – to commission and conduct independent studies. Finally, the committee will have to consider the methodology and scientific quality of the procedure, included potential failures in the scientific evaluation. PEST’s first working meeting consisted in an exchange of views with officials and experts from EFSA and the European Commission, where both technical and regulatory issues were discussed. Perhaps unsurprisingly, the members of the PEST Committee and the invited officials tended to offer diverging views as to the causes of the lack of public trust in EU regulatory processes, which emerged during Glyphosate authorization. In fact, MEPs framed the debate in terms of transparency and independence, of both the risk assessment and the risk management phase; the Commission and EFSA, on the other hand, rather stressed the shortcomings in terms of risk communication and engagement with the public, while generally upholding the overall adequacy of the regulatory process. It is worth noting that the establishment of the PEST committee has not happened in a vacuum. 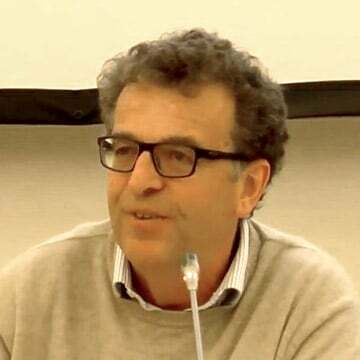 The EP had already voiced its views on Glyphosate through two non-binding resolutions, respectively adopted in April 2016 and October 2017, the former calling for a seven years renewal with limitations concerning both non-professional uses and public spaces, the latter for a radical phasing out of the active substance by 2022. When reading the establishment of the PEST Committee in continuity with such resolutions, it appears how the assumption according to which parliamentary assemblies are ill suited to engage with technically complex determinations is being questioned. The Committee’s task is undoubtedly a challenging one, both in terms of institutional expertise and of time constraints (the Committee is established for nine months only, extendable by the EP) and might result being too long a shot in terms of impact on the regulatory process. At the same time, it already represents per se a worthwhile exercise of parliamentary oversight, whose potential in enhancing public trust in EU regulatory decision-making should not be underestimated. 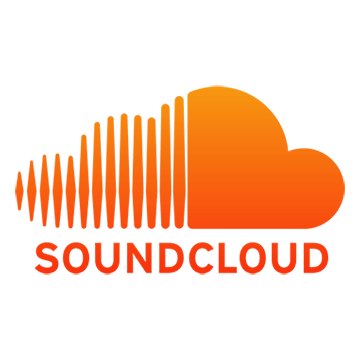 (*) This blog post has been previously published on Verfassungsblog. Read the original! 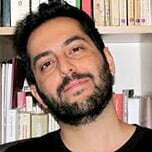 At the end of the 2017-2018 academic year, I will complete my one-year traineeship in the administration of the Max Weber Programme at the EUI. Before I started my traineeship, I studied at James Madison University’s Florence campus where I graduated with my M.A. in Political Science with a concentration on EU Economic and Social Policy. 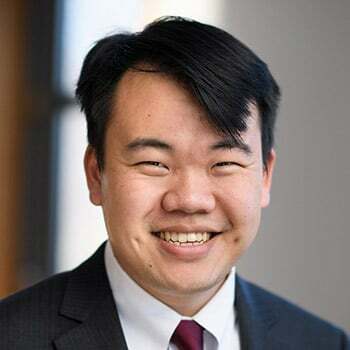 Thanks to the partnership between JMU and the EUI, I began developing my relationship with the Max Weber Programme and EUI early on through my coursework taught by Max Weber Fellow Akisato Suzuki (2016-2018), as well as through the 10th Annual MWP-JMU Symposium where I presented my paper on the EU Common Agricultural Policy and food waste. Gary Winslett (MWF 2016-2017) gave me valuable feedback on my thesis and I gained invaluable experience presenting my paper at a conference. 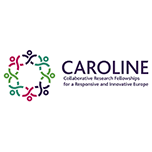 When Caterina Paolucci, the director of the JMU European Union Policy Studies programme, approached me after the symposium and told me about traineeships at the EU, I was eager to apply and even happier to accept the offer. 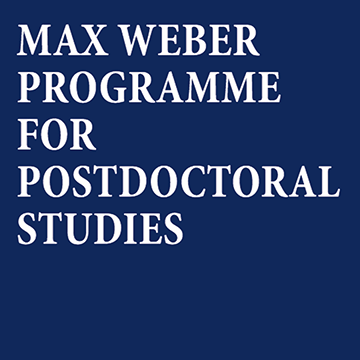 I was very fortunate to have the opportunity to work with the Max Weber Programme directly after completing my M.A. in Political Science at James Madison University. 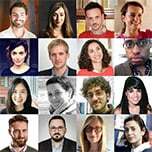 From my first day on the job, I was immediately and seamlessly integrated into the team and the EUI community. Over the past year, I have been challenged with varying tasks such as the September presentations, helping to prepare the MWP Annual Report, preparing steering committee documents, assisting the administration and Fellows in planning multidisciplinary research workshops and, of course, the June Conference. My favourite event was the September presentations. Each presentation was unique, focusing on ideas and topics widely discussed but with a twist from a different perspective. These presentations also allowed me to get to know this year’s Fellows and understand their research. 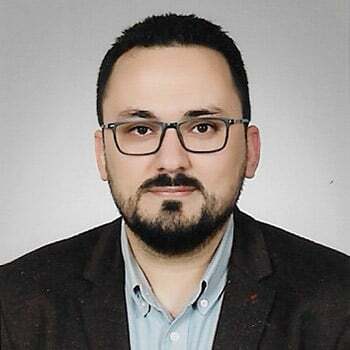 Throughout the rest of the year and in each project or task, I gained hands-on experience that allowed me to learn, grow and gain insight into how the administration works to support an international postdoctoral programme and gave me a new appreciation of the complexity of academic organisation. My greatest take away from this traineeship is confidence in my ability to work on a team in an international, demanding environment. Whenever I get the questions, “What do you want to do with your life?” or “Where do you see yourself in 5 years?”, I think back to when I thought that all I wanted to do was event planning. I have realized over time that the focus should be less on what you want to do with your life and more so on what the next step in your journey will be. 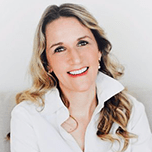 For me, I needed to follow the excitement of event planning and apply it on a larger scale to realize that while it is fun, it is not the only thing I want my job to be. I have seen that it is better as a component of a more complex job that allows me to make a difference and serve those around me. Without my work experience at the Max Weber Programme, or without following my desire to find a job in event planning, I would have never realized how much I enjoy building interpersonal relationships and helping others achieve their goals either through administration or consulting. This is the direction I will change my sails to and see what I learn from following different trade winds. It is remarkable how quickly a year passes. I will soon be missing lunch on the mensa terrace overlooking the terracotta roofs of Florence and Brunelleschi’s Duomo. Twelve months are simply too short in the hills of Fiesole but I must take my experience and skills gained at the EUI and apply them in the next phases of my career. While the future is always uncertain, I know that the tools the Max Weber Programme has given me and the relationships I have made within the EUI community will carry me further than I could have ever imagined. I take this opportunity to say a big thank you to Richard Bellamy, Karin Tilmans, Ognjen Aleksic, Francesca Grassini, Valeria Pizzini-Gambetta, Laurie Anderson, Alyson Price, and all of the Fellows who have taught me more than they will ever realize. I appreciate their time, patience and effort to create a welcoming but challenging environment. This is a brief report about collaboration on a joint graduate symposium between the Max Weber Programme at the European University Institute (EUI) and EU Policy Studies at James Madison University (JMU) in Florence during the academic year 2017-18. I organized the joint symposium in which students in the JMU Master’s programme presented their research. The symposium took place in the Emeroteca at the EUI on 10th April 2018. There were sixteen papers; I asked students to send the working titles of their papers by early March so that I could start to plan a programme. 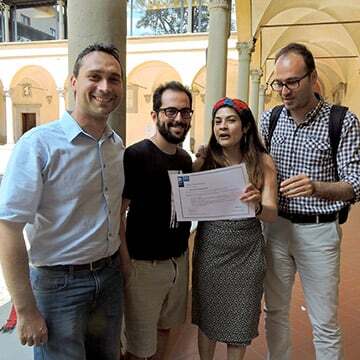 I looked for discussants, primarily among Max Weber Fellows, but also among other researchers and fellows at the EUI when there was no Max Weber Fellow either appropriate for a paper or available. Eventually I secured five Max Weber Fellows, two research fellows, and one PhD researcher. I made sure that all discussants were constructive in their feedback. Having discussants from the Max Weber Programme and the EUI was important in supporting student learning about how to improve their papers. I asked a Max Weber Fellow and JMU part-time lecturer Gemma Scalise, a JMU professor Chiara Steindler, and the JMU academic coordinator Caterina Paolucci, to be chair for one of the sessions. I chaired the opening remarks, one of the sessions, and the keynote speech. I looked for a candidate for the keynote speech and secured Professor François Foret, a Professor of Political Science and the Director of the Centre d’Etudes de la Vie Politique (Cevipol) at the Université Libre de Bruxelles, who was a Fernand Braudel Senior Fellow at the Department of Political and Social Sciences at the EUI around the time of the symposium. Organizing the symposium also involved preparing practical matters, such as name plates and deciding the schedule, the panels and allocation of the papers, the number of people for lunch, coffee break and reception, and the possible need for guest WiFi. 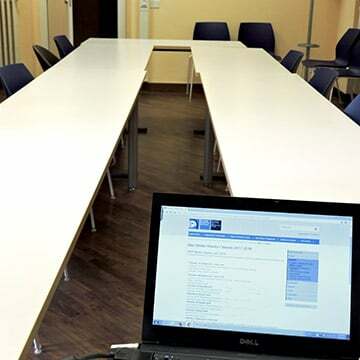 The room, the Emeroteca, was booked by Max Weber Programme staff. In future, the Teatro at the Badia might be considered as an alternative, if the Emeroteca turns out to be too small if there is a higher number of students in the future. Once everything was set, I recycled last year’s symposium programme to create this year’s programme (available at the end of this report). I collected the abstracts of all papers to put onto the programme. 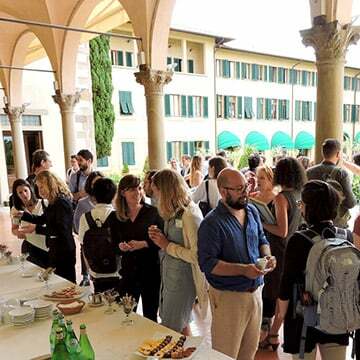 The final version of the symposium programme was sent to Max Weber Programme staff on the 29th March for advertising and printing – the symposium was advertised to the EUI community by the Max Weber Programme. To help students prepare well for the symposium, I organized three sessions of individual tutorials (1st and 27th February, and 29th March). I asked students about their progress in preparing research papers and whether they had any question about research design and methods as well as presentation. Appropriate advice was given where necessary. In particular, students were nervous about speaking in the public. I made sure that the atmosphere would be comfortable and it would be a great opportunity to engage in discussion over their research. In addition to the individual tutorials, I organized practical sessions as well. On the 5th and 9th of April, I invited students to the room where the symposium would be held, so that they were able to check all equipment in advance. I also asked students to practice their presentations in front of me and the other students. I gave feedback on their presentations with respect to content and style. The students found it very helpful to come in advance to the room and practice their presentations. Supervision was also an important experience for me to develop in my professional career. It was a precious opportunity to engage closely with students and supervise their research. Professor Foret’s keynote speech was on European strategy against radicalization. After pointing out that Europe still remains very much secular, Professor Foret introduced different approaches to addressing religious radicalization within Europe. To sum up, it was a great opportunity for me to engage with JMU in collaboration over the symposium organization. It allowed me to develop supervising skills and learn organizational and administrative aspects of academic life. Why were certain businesses in favour of the British exit (Brexit) from the European Union (EU)? Were trade models unable to explain the results of the Brexit referendum? Can international political economy scholarship help us assess and understand Brexit? What are the implications of the UK’s decision on European trade policy? In this Max Weber interdisciplinary workshop, titled ‘Picking up after Brexit: Explaining and assessing the British exit from the European Union’, we tried to provide at least a partial answer to such questions with the expertise provided by three guest speakers. Gabriele Spilker from the University of Salzburg, who currently conducts research on individual preference over trade policies, Manfred Elsig from the World Trade Institute, who has published extensively on trade policy and the politics of the World Trade Organization (WTO), and Arlo Poletti from the University of Trento, who works on international political economy (IPE) and interest group politics, presented their work and their assessments on the different aspects of Brexit related to international trade. Gabriele Spilker gave us a picture of individual-level preferences over trade and Brexit. Her presentation was especially useful in pointing out the commonalities between individuals’ Brexit vote and trade preferences. In other words, many individual-level characteristics that help us explain people’s attitude towards international trade also help us explain British citizens’ pro or anti-Brexit attitudes. While lower income levels, lack of social capital, and a nationalist ideology have been shown to associate with more antagonism towards international trade by individuals, the same reasoning also applies to support for Brexit. In addition, Spilker provided the audience with a framework to assess trade preferences, which at the same time can play an important role in understanding British individuals’ preferences to leave the EU. 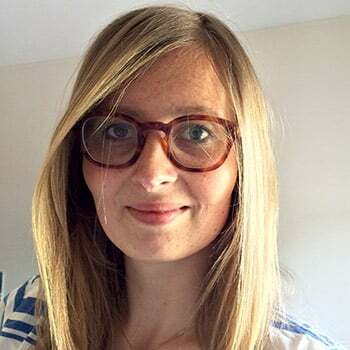 Borrowing from traditional trade theories, she demonstrated the conditions under which economic as well as non-economic factors foster attitudes catering to Brexit. Arlo Poletti and myself picked up on an important point raised by Gabriele Spilker; why did certain businesses that trade with the EU support Brexit? We proposed that the insights borrowed from IPE scholarship can give us an alternative understanding of the reasons why certain business interests in the UK were in favour of Brexit, despite the obvious hurdles they will have to face in trading with the EU when the UK leaves the single market. In the face of the growing skepticism towards scholarship and its supposed inability to explain the outcome of the Brexit referendum we provided an alternative view. We essentially aimed to show that two particular factors could help us unpack the reasoning behind the surprising business preferences for Brexit. First, considering the growing fragmentation of production and the rise of global production networks, we demonstrated that, on average, the British economy has increased its reliance on extra-EU trade. In comparison to its trade profile with the EU, quite a number of sectors are more interlinked with non-EU economies than they are with EU countries. The increase in British exports and imports of intermediate products has been substantially higher for non-EU countries. This means that pro-EU business interests have been in relative decline in the UK, which might help explain why mobilization of pro-EU forces was unable to counterbalance the preferences of pro-Brexit interests. Second, certain multinational companies (MNCs) happened to side with protectionist interests, stemming from their hyperglobal international trade preferences. In order to avoid the ‘red tape’ Brussels supposedly demands, MNCs in various sectors – such as the pharmaceutical sector – publicly supported Brexit in order to have more regulatory autonomy and go after their trade objectives globally without the interruption of the EU. Manfred Elsig further brought a bigger picture into our workshop and explained the connections between Brexit, the WTO, and trade politics in general. His presentation pointed out largely underestimated issues that both the EU and the UK will face in matters of trade policy post-Brexit. From the side of the UK, Elsig highlighted that the British will need to find ways to set up a national trade policy and build capacity to negotiate as well as implement trade rules on a global scale. Similarly, UK policymakers will need to fulfill the demands made by European trade partners that are part of EU Free Trade Agreements (FTA), such as Mexico, Korea, and Turkey. The policy space left after the UK leaves the EU will not only give an ‘opportunity’ to the British government but will open up EU trade partners to be able to re-negotiate the terms of their agreement. From the side of the European Union, as Professor Elsig pointed out, one of the most important challenges is the departure from the EU of a liberal trade champion. With the exclusion of the UK, the EU is likely to face additional problems sustaining support for trade agreements as well as dynamism to bolster trade. In sum, the participants in the workshop pointed out a multi-level approach to assess and understand Brexit. Moreover, several avenues for future research to explain and move ahead from Brexit were also highlighted. 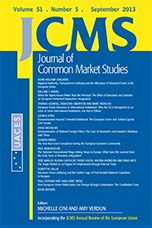 It seems that the individual preferences on trade, politically-relevant constituencies’ mobilization on rules and regulations, and the overarching concerns over EU and UK trade policies vis-à-vis third countries might prove useful to understand how to move ahead with Brexit negotiations and make the transition smooth. 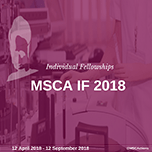 As in previous years the applicants have the opportunity to choose among a number of multidisciplinary thematic groups that foster the appreciation of each other’s disciplinary approach or to opt out of this choice. This theme has a double focus on citizenship and migration. It looks at issues of political and legal constructions of community, boundaries and membership at local, national and supranational levels and to the newest developments (empirical and theoretical) in this field. It also discusses novel trends in the field of migration and mobility. Finally, and most importantly, the theme draws the link between evolving conceptions of citizenship and community with social and economic phenomena of transnationalism and of cultural diversity management in an increasingly mobile and interconnected world. This theme addresses national, transnational and supranational political systems in both democratizing and established democratic systems. It looks at issues of political equality, the shift from government to governance, and the relations between law and politics. It combines empirical and normative analysis, and perspectives from history, political science and law. 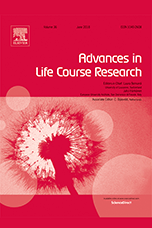 This thematic group brings together social scientists from different disciplines interested in experimental methods, both in the laboratory and in the field. The idea is to explore a diversity of social issues and topics that can be studied experimentally, including, for example, trust and social norms, risk and time preferences, political processes, gender differences in decision making, or inter-temporal decision making. Fellows have the opportunity to present their experimental design and results. 4. Europe and the World: International Relations, International Security and World Politics. This thematic area brings together cutting edge research in the areas of international relations, international security, and world politics, all broadly defined. It seeks to integrate theoretical and conceptual insights with empirical research and political or historical relevance. It involves projects from the disciplines of international relations, political science, history, and law, as well as from related fields, and is both inter- and transdisciplinary. While the cluster focuses on the EU and/or one or more European states, it also embraces innovative projects investigating other geographical regions or states or otherwise engaging with world politics, as well as comparative research. The sort of topics likely to be explored include: Europe’s role and place in the emergent world of 21st century global politics; Europe’s foreign relations broadly, including the EU’s or European states’ evolving relations with the major and emerging powers (including the U.S., China, Russia, India, Brazil), as well as regional and global international organizations; foreign, security, and defense policy; the impact of the grand shifts and continuities in international affairs on Europe itself. The foreign affairs-international security-world politics thematic area is hosted by the program on Europe in the World within the Global Governance Program at the Robert Schuman Centre for Advanced Studies. This group brings together researchers with an interest in legal, political and social theory, both past and present, and those working in intellectual history and the history of ideas more generally. The group will provide a forum for interdisciplinary exchange and dialogue between fellows concerned with various contemporary theories and their application to the assessment of public policies and practices, and those working on different aspects of past thought. 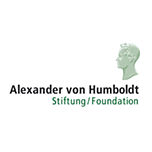 It will provide opportunities to confront different approaches and methodologies and to think about the relevance of historical study to theoretical and contemporary issues, including the nature of law, normative and metaethical theory, the relationship of law and politics to morality, or social and political philosophy. 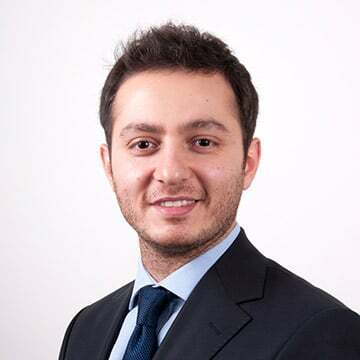 This theme is inspired by the work of Tommaso Padoa-Schioppa (1940-2010), a central banker and Minister of the Economy and Finance in Italy (2006-08). He is often credited as the father of the European single currency. 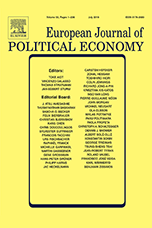 The theme brings together economists working on monetary policies, international macroeconomics and finance, economic historians, political economists, and lawyers interested in financial regulation and constitutionalism, to explore issues in these broad areas in which Padoa-Schioppa worked and wrote. 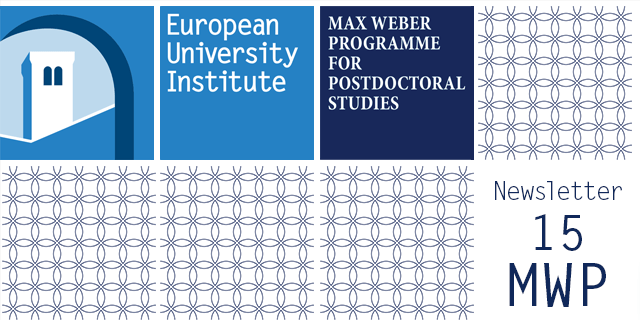 The Max Weber Programme is proud to name the 66 Max Weber Fellows who will be at the European University Institute in the academic year 2018-19. 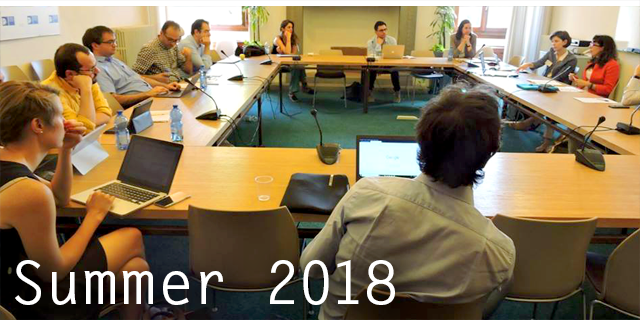 The Max Weber Programme (MWP) is welcoming 50 new Fellows in September 2018. 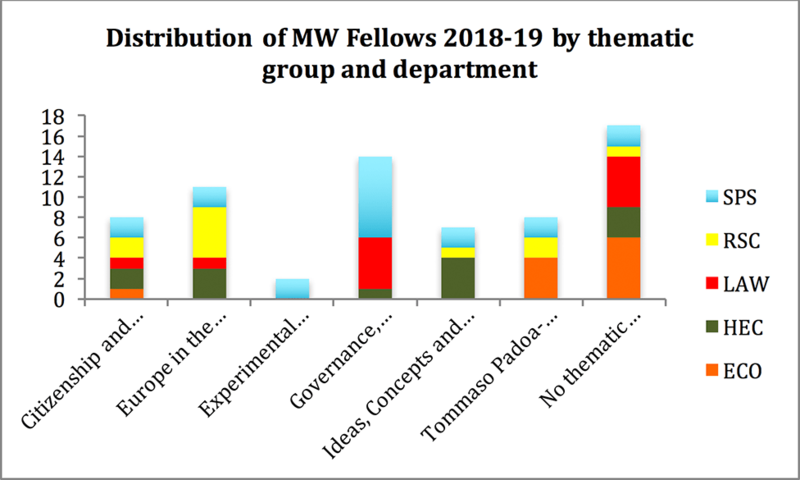 In addition, 17 Fellows from the previous cohort have a second year, some according to the conditions of their original award (11) others bringing in funding from bodies other than the MWP to support the continuation of their fellowship (6). 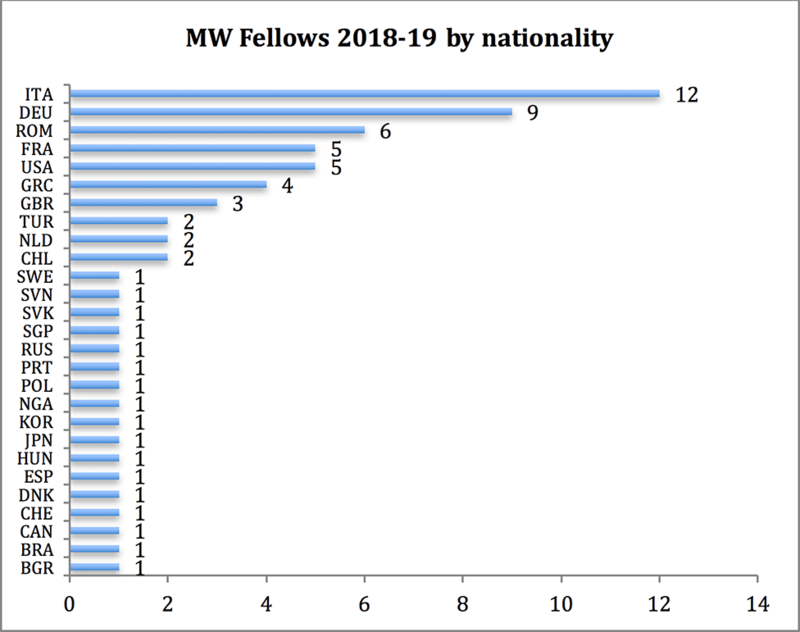 The 2018-19 cohort of MW Fellows is composed of 27 different nationalities. Among these are 19 from Europe, 3 from Asia, 2 from North America, 2 from South America, and 1 from Africa. The three most represented nationalities in the cohort are Italian, German and Romanian (Figure 1). The 2018-19 cohort is 48% women and 52% men. 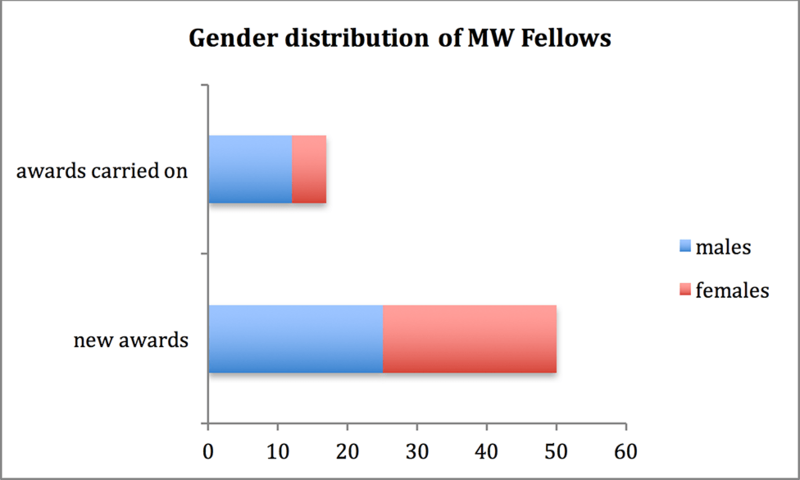 In fact, Figure 2 shows that the 50 awards this year strike a perfect gender balance; the slight imbalance is the result of the skewed distribution of Fellows carrying on for a second year from the previous cohort (5 women and 12 men). 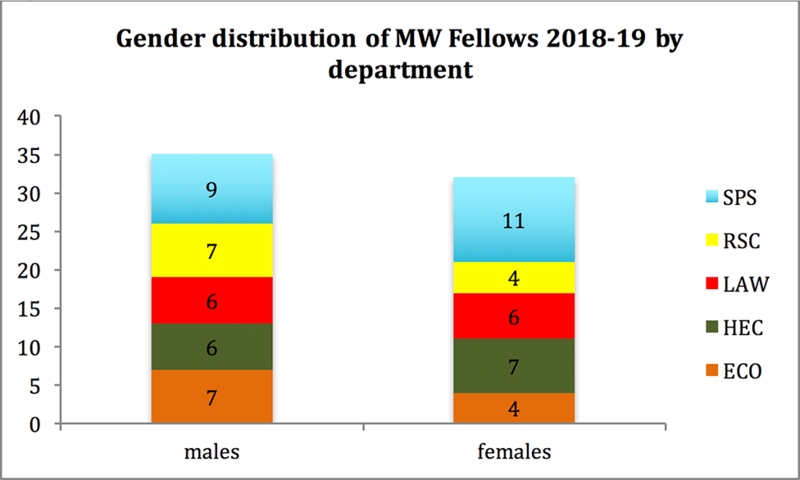 The gender distribution by department (Figure 3) is even in the Department of Law, skewed in favour of women in the Departments of History and Civilization and SPS, skewed instead in favour of men in the Department of Economics and the Robert Schuman Centre. 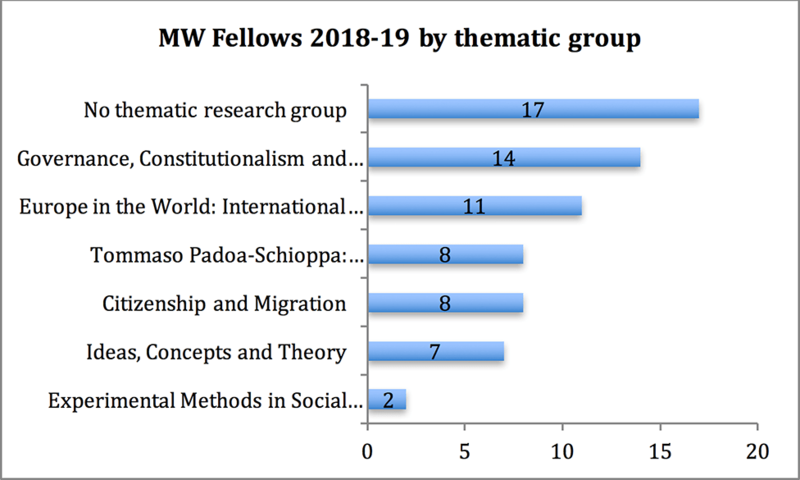 The most multidisciplinary group is Citizenship and Migration (Figure 5) followed somewhat ironically by the cluster of Fellows who did not opt for a thematic group. Experimental methods in the Social Sciences group has attracted only Fellows from SPS. This uneven distribution by department might change once the academic year begins. At times Fellows change the group initially chosen after realising that their research profile fits better in another group. Each year the Max Weber Teaching Module offers MW Fellows the opportunity to spend a week teaching abroad. This year five prestigious European universities were partners with the Max Weber Programme and hosted Fellows: Trinity College Dublin (19-23 February), Masaryk University (19-23 March), UCL, UPF, and von Humboldt (14-18 May). Twenty seven MW Fellows passed the classroom test with flying colours and were awarded the Teaching Certificate on 20 June 2018 from the gracious hands of Karin Tilmans, academic coordinator of the Programme. Watch how a teaching week at UPF feels! 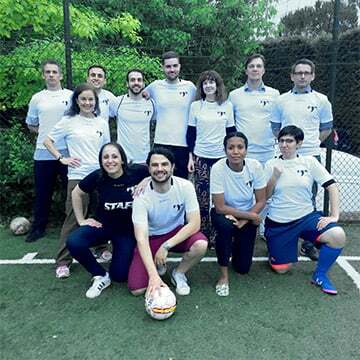 The Coppa Pavone is the sporting event of the year at the European University Institute and each year the MW Fellows contribute to it with tremendous ‘sportpersonship’. 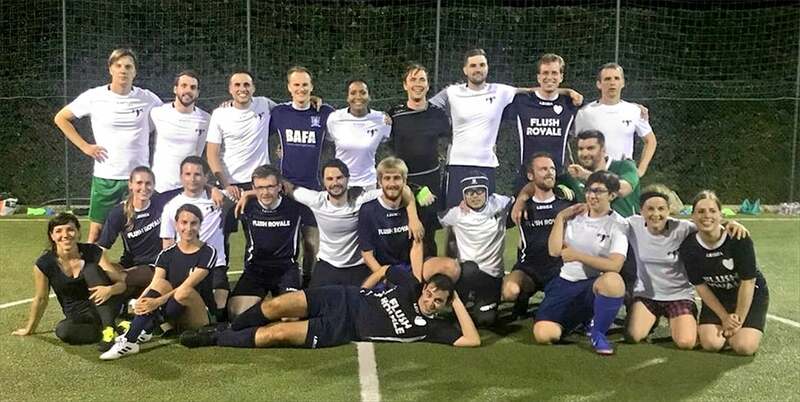 Coppa Pavone 2018 was a lively tournament; the MW Fellows featured as the Mad Max team (the white jerseys in the picture) under the leadership of Matteo Foschi (ECO) and Aki Suzuki (SPS). They won our hearts and minds unconditionally while losing all matches with uncompromising consistency, a perfect springboard for improvement! Michael Ignatieff, Rector of the Central European University (CEU), delivered a keynote address at the Max Weber Programme June Conference on 15 June 2018. 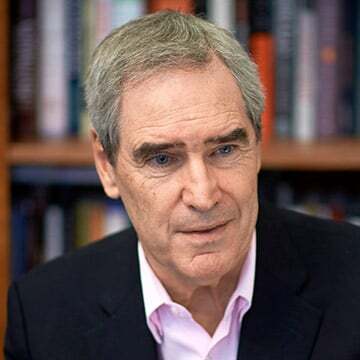 In this speech, Ignatieff argues that the crisis of liberal democracies we see today is a result of persistently inadequate responses to three critical global events of the last twenty years:terrorism, the economic crises and migration. These failures have prepared the ground for new forms of authoritarianism. 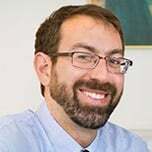 Professor Samuel Moyn (Yale Law School) delivered a keynote lecture highlighting the inner contradictions between the welfare state project and the universalist foundations of the international human rights project. 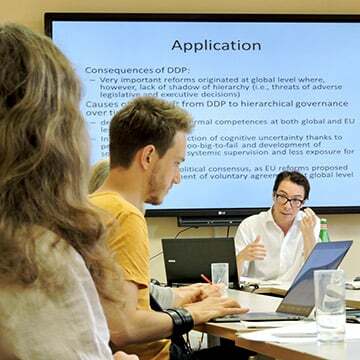 The speech was delivered on 11 June 2018 within the context of the Max Weber Programme multidisciplinary workshop on ‘National political communities and international institutions’. Debra Satz (Stanford University) discusses her book on the moral limits of the markets and her intellectual stance between ethics and economics with the Director of the Max Weber Programme Professor Richard Bellamy and Max Weber Fellow and historian Jared Holley on 16 May 2018. 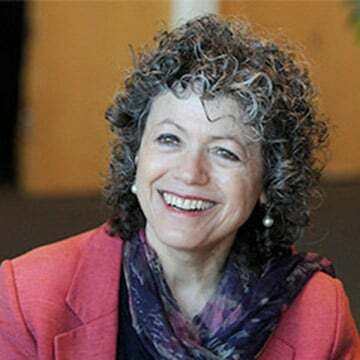 On 16 May 2018 Professor Debra Satz (Stanford University) delivered a Max Weber Lecture in which she argued that the provision of some goods is so fundamental to our equal standing as citizens that these goods should be treated just as we treat national defense – distributed in-kind by the government more or less equally to all --even in the absence of market failure. 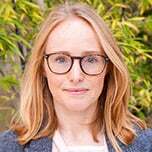 In her lecture, Satz attempts to make this ‘moral economy’ tradition more attractive to contemporary egalitarians and offers a new defense of in-kind goods provision. 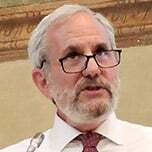 On 18 April 2018 Professor T. Alexander Aleinikoff (The New School) delivered a Max Weber Lecture at the EUI in which he argued that the great crisis facing refugees is their immobility. Individuals forced out of their home states get stuck in their countries of asylum. Aleinikoff suggests these issues can best be addressed through the lenses of mobility and immobility, focusing more on those who seek to move than the states that seek to regulate such movement. Professor Alexander Aleinikoff (The New School) discusses his experience at UNHCR, the importance of advocacy and of restoring agency to refugees. He also gives his view of how young scholars contribute to the resolution of these problems through the production of excellent scholarship and engagement in advocacy. 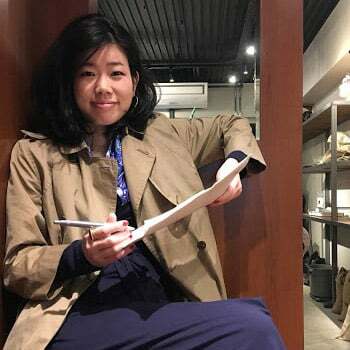 The conversation was led by Naoko Hosokawa, Max Weber Fellow at the Robert Schuman Centre, on 18 April 2018. We are adding a new, permanent section to our Newsletter to make the blooming Max Weber Programme Alumni Society visible to our extended network. 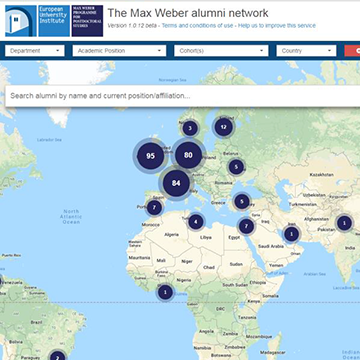 We mark the start of this new section by announcing the new interactive Max Weber Alumni Network Map, an important tool in the life of the Alumni Society. Alumni are identified on the map according to their present job position and the flexible interactive search tool allows users to select several relevant variables. Please send us updates about your career moves so that we can keep the map as accurate as possible. 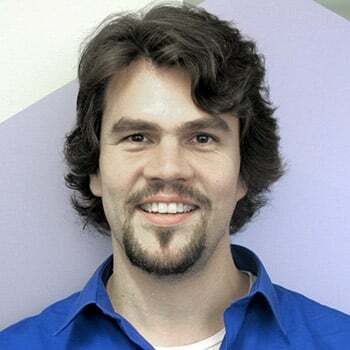 About the speaker: Thomas Christiano is a philosopher at the University of Arizona. He writes books and articles on moral and political philosophy and regularly teaches both graduate and undergraduate courses. 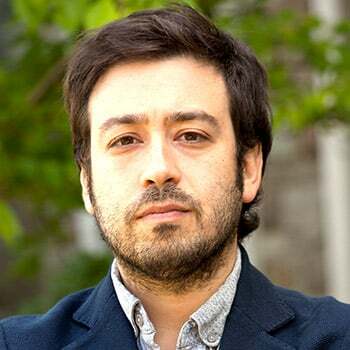 Christiano's current research is mainly in moral and political philosophy with emphases on democratic theory, distributive justice and global justice. 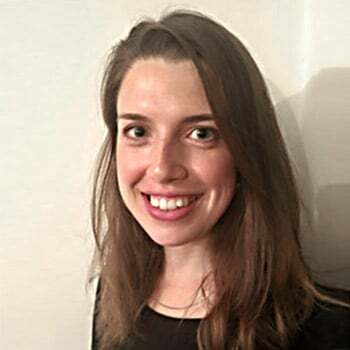 About the speaker: After completing her undergraduate and Masters degrees at University of Toronto in Economics, International Relations and Chinese Studies, Catherine Schenk went to the London School of Economics to complete a PhD in Economic History. 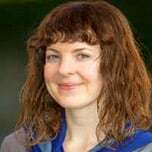 Since then she has held academic positions at Victoria University of Wellington, New Zealand, Royal Holloway, University of London and University of Glasgow. She has also been visiting professor at Nankai University, China, and Hong Kong University. 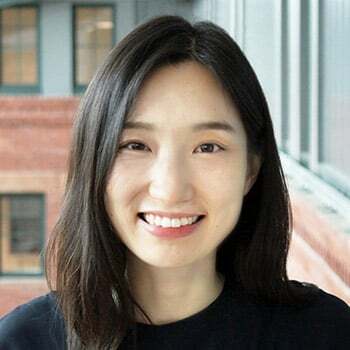 Outside academia she has spent time as a visiting researcher at the International Monetary Fund and at the Hong Kong Institute for Monetary Research. 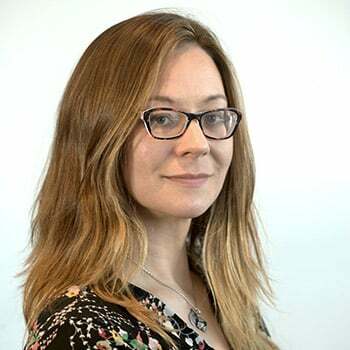 She is an Associate Fellow in international economics at Chatham House, London and she is on the Academic Council of the European Association of Banking and Financial History. 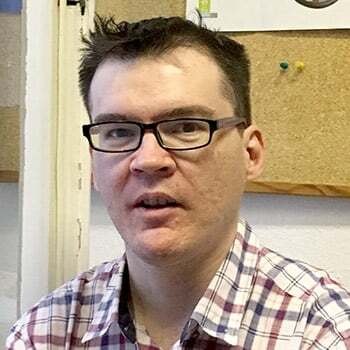 About the speaker: Neil Walker holds the Regius Chair of Public Law and the Law of Nature and Nations at the University of Edinburgh. 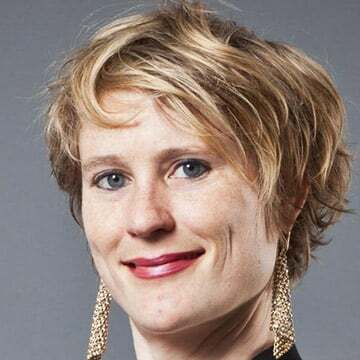 About the speaker: Annelien de Dijn is the author of French Political Thought from Montesquieu to Tocqueville: Liberty in a Levelled Society (Cambridge University Press, 2008, paperback edition October 2011). 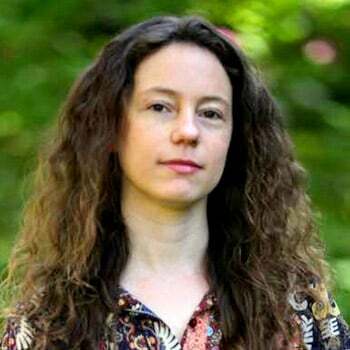 She currently holds the position of Professor of Modern Political History at Utrecht University. 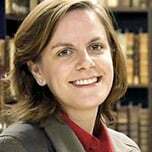 Her research focuses on the history of political thought in Europe and in the United States from 1700 to the present. She has a particular interest in the fraught and contested history of freedom and in Enlightenment political thought. 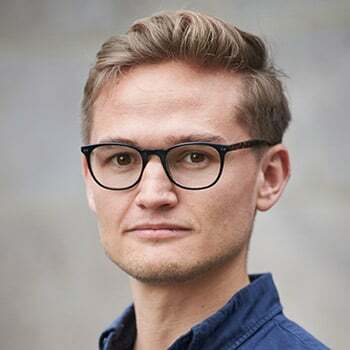 Professor de Dijn has held visiting appointments at Columbia University, Cambridge University, the Remarque Institute at NYU, the University of Notre Dame, and the University of California at Berkeley. 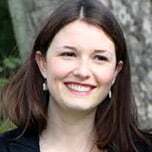 A past recipient of Fulbright and B.A.E.F. 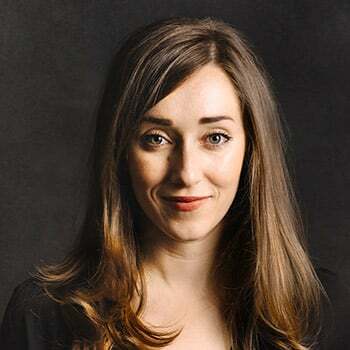 fellowships, she was educated at the University of Leuven in Belgium and at Columbia University. 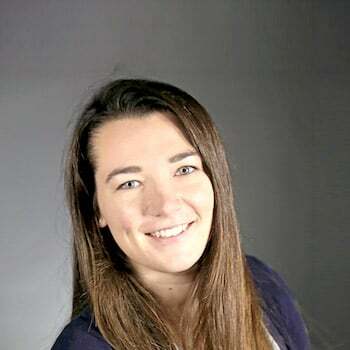 About the speaker: Schmidt received her Bachelor of Arts from Bryn Mawr College, and both her Masters and PhD from the University of Chicago. 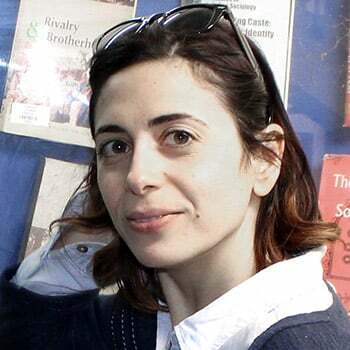 She taught at the Sciences Po in Paris, the University of Massachusetts Amherst, the Institute for Advanced Studies in Vienna, European University Institutein Florence, Max Planck Institute in Cologne, the University of Paris and Lille, and is visiting scholar at Nuffield College, Oxford University and at Harvard University, where she is an affiliate of the Center for European Studies. 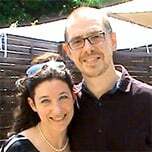 She headed the European Union Studies Association in the United States. She was the founding Director of the Center for the Study of Europe at the Pardee School of Global Studies at Boston University. 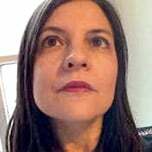 Her research has focused on political economy, democracy and discourse. In 2017 she was awarded the Society of Women in International Political Economy (SWIPE) Award for mentoring women in international relations. 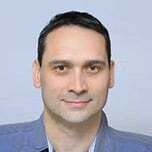 About the speaker: David Soskice has been School Professor of Political Science and Economics at the LSE since 2012. He taught macroeconomics at Oxford (Mynors Fellow emeritus, University College) from 1967 to 1990, was then research director/professor at the Wissenschaftzentrum Berlin (1990-2005), and subsequently Research Professor of Comparative Political Economy at Oxford and senior research fellow at Nuffield College, and Research Professor of Political Science at Duke. 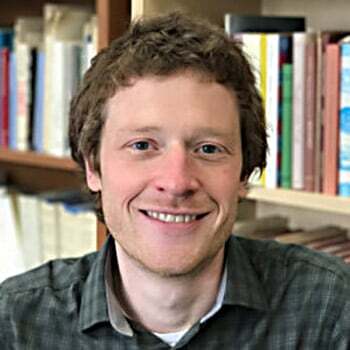 He has been visiting professor in the economics department at Berkeley, the government department at Harvard, the Industrial Relations School at Cornell, and the Scuola Superiore St Anna, Pisa, and held the Mars Visiting professorship at Yale and the Semans Distinguished Visiting professorship at Duke. 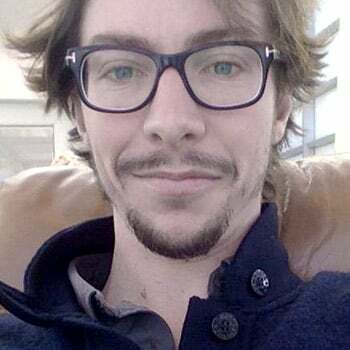 He is currently working with Wendy Carlin (UCL) on tractable macroeconomic models; with Nicola Lacey on the comparative political economy of crime and punishment; with Torben Iversen on advanced capitalist democracies; and he gave the 2013 Federico Caffѐ lectures in Rome on Knowledge Economies: Winners and Losers. 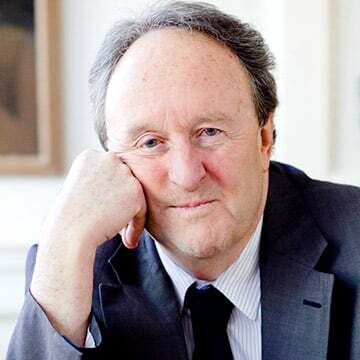 He was President of the European Political Science Association from 2011 to 2013; he is a Fellow of the British Academy (Politics and Economics groups); and he is an Honorary Fellow of Trinity College, Oxford. 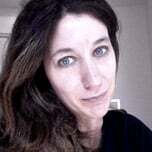 About the speaker: Nancy L. Green is professor (directrice d’études) of history at the École des Hautes Études en Sciences Sociales in Paris, where she is a member of the Centre de Recherches Historiques. She received her doctorate from the University of Chicago in 1980 and a doctorat d’état from the Université de Paris VII in 1996. 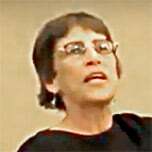 A specialist of migration history, comparative methods, and French and American social history, her major publications include: Ready-to-Wear and Ready-to-Work: A Century of Industry and Immigrants in Paris and New York (Duke University Press, 1997); Repenser les migrations (Presses Universitaires de France, 2002); Citizenship and Those Who Leave (co-ed. with François Weil) (University of Illinois Press, 2007); Histoire de l’immigration et question coloniale en France (co-ed. with Marie Poinsot) (La documentation française, 2008); The Other Americans in Paris: Businessmen, Countesses, Wayward Youth, 1880-1941, 2014 (University of Chicago Press, 2014); and A Century of Transnationalism: Immigrants and their Homeland Connections (co-ed. with Roger Waldinger (University of Illinois Press, 2016). 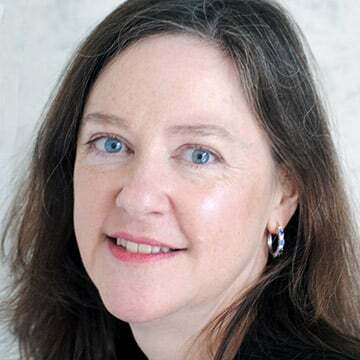 About the speaker: Helen V. Milner is the B. C. Forbes Professor of Politics and International Affairs at Princeton University and the director of the Niehaus Center for Globalization and Governance at Princeton's Woodrow Wilson School. 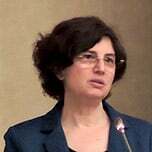 She was the chair of the Department of Politics from 2005 to 2011. She was president of the International Political Science Association (IPSA) from 2012-14. 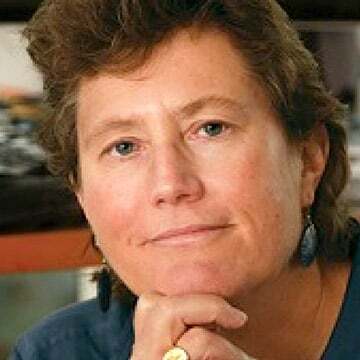 She has written extensively on issues related to international and comparative political economy, the connections between domestic politics and foreign policy, and the impact of globalization on domestic politics. 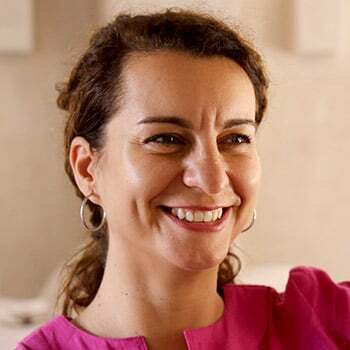 She is currently working on issues related to globalization and development, such as the political economy of foreign aid, the "digital divide" and the global diffusion of the internet, the resource curse and non-tax revenues, and the relationship between globalization and democracy, in Africa and the Middle East. Her lecture, Deconstructing Group Bias: Groupy vs. Non-groupy social preferences, took place on 14 March 2018. Abstract: This lecture presented a series of experiments that deconstructs the bias observed in group settings. 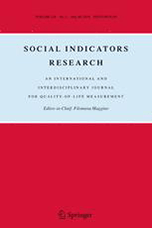 Following the methods and traditions of social psychology, economists conducting experiments on income allocation find that participants, on average, are inequity averse towards out-group participants and more so towards in-group participants. New experiments find finds significant, divergent patterns in individual allocations of income in group settings. Using a within-subject design, the results indicate bias need not depend on group identity but rather on individuals’ reactions to group divisions per se. Hence, the tendency to favor people conditional on a group affiliation, which we call “groupiness,” could be an individual trait. 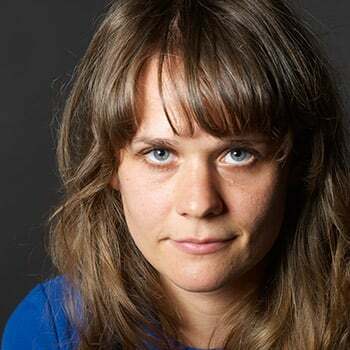 Rachel Kranton in conversation with Giulia Tura (ECO) Rachel Kranton was interviewed by MW Fellow Giulia Tura on 14 March 2018 in anticipation of her Max Weber Lecture at the European University Institute. The interview focused on how institutions and social settings affect economics. It also touches on social identity and group affiliations in society and how these identities and affiliations have effects on the world around us. His lecture, Mobility and Immobility: Migrants and Refugees, took place on 18 April 2018. Abstract: Across the globe, barriers to migration are increasing and the number of forcibly displaced persons has reached levels not seen since World War II. But these “headlines” miss the real story. Overall, migration is in fact on the rise, particularly movement that does not necessarily result in settlement in the destination country. And the great crisis facing refugees is their immobility. They are forced out of their home states and then locked into countries of asylum. Scholarship can best address these issues through the lenses of mobility and immobility, focusing more on those who seek to move than the states that seek to regulate such movement. 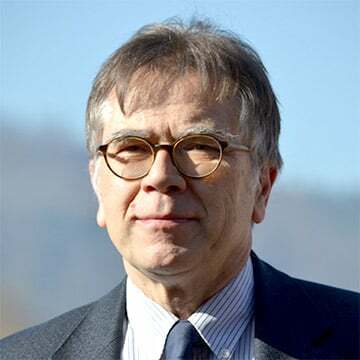 T. Alexander Aleinikoff in conversation with Naoko Hosokawa (RSC) T. Alexander Aleinikoff was interviewed by MW Fellow Naoko Hosokawa on 18 April 2018 at the Max Weber Programme base in Villa Paola. In their conversation, the tow discussed Dr. Aleinikoff’s experience at UNHCR and the importance of advocacy and restoring agency to refugees. He suggests that young scholars can become part of the solution through the production of excellent scholarship and engagement in advocacy. 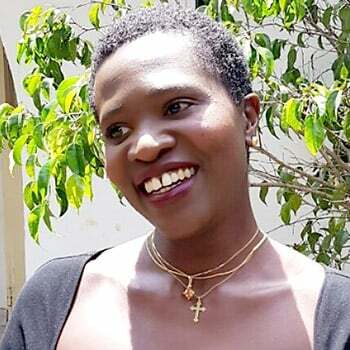 Her lecture, The Government’s Provision of Specific, In Kind Goods: A Defense, took place on 16 May 2018. 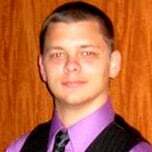 Abstract: The belief in the more or less universal superiority of the government’s provision of unrestricted cash over in kind goods can be usefully contrasted with an older tradition of thought. According to that tradition, the provision of some goods is so fundamental to our equal standing as citizens that these goods should be treated just as we treat national defense –distributed in kind by the government more or less equally to all--even in the absence of market failure. In Musgrave’s (1957) terminology, these are merit goods – goods that could be supplied by the market according to people’s consumer preferences, but that society has reason to distribute in a different way. Ethical socialists such as R.H. Tawney, William Morris, G.D.H. Cole, and T.H. Marshall argued that there are goods and services that should be provided by the government universally, and often equally, to all citizens. They had in mind goods like a national health service, votes, a job guarantee, housing, protection against market vulnerability, public housing, and free public education, although their list can be extended to other goods, including child care, opportunity for political influence, broadband internet access, food stamps, and even free time. My aim in this paper is to render this “moral economy” tradition more attractive to contemporary egalitarians and to offer a new defense of in kind good provision. 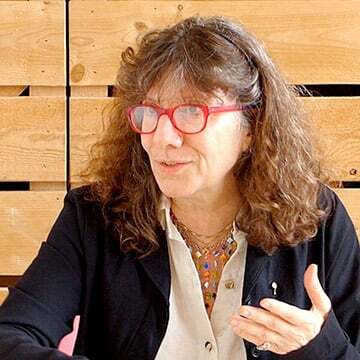 Debra Satz in conversation with Richard Bellamy (Director MWP) and Jared Holley (HEC) Debra Satz was interviewed by the director of the Max Weber Programme, Richard Bellamy, and MW Fellow Jared Holley on 16 May 2018. They talked about her book on the moral limits of the markets and her intellectual stance between ethics and economics. His lecture, From commons to capital and back. The turning point in private law, took place on 3 May 2018. 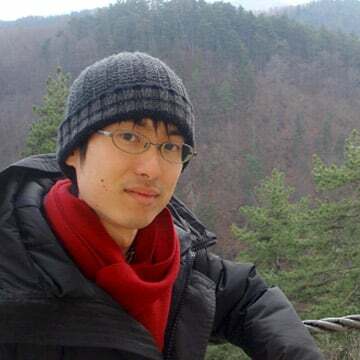 Abstract: This lecture discussed the necessary steps to transform the role and the function of private law in order to put in tune with the requirements of ecological survival. What Happens When an Under-Constitutionalised State Leaves an Over-Constitutionalised EU? 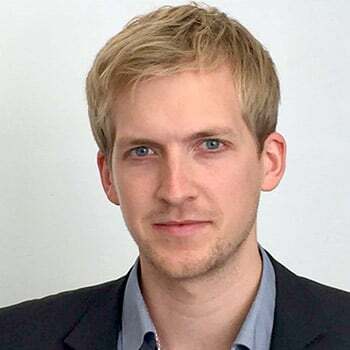 Kenneth Armstrong is Professor of European Law and Director of the Cambridge Centre of European Legal Studies at the University of Cambridge. Before joining the Faculty of Law of the University of Cambridge, Kenneth was Professor of EU law at Queen Mary, University of London. 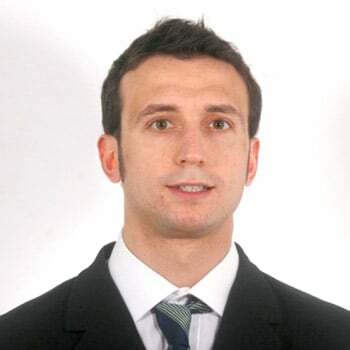 He has also held positions at Keele University and the University of Manchester. 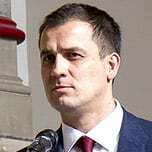 He has held visiting positions at Edinburgh University, the European University Institute and at New York University School of Law. He is a Fellow of Sidney Sussex College. 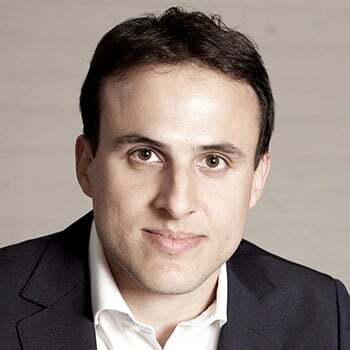 He is editor in chief of the Cambridge Yearbook of European Legal Studies. 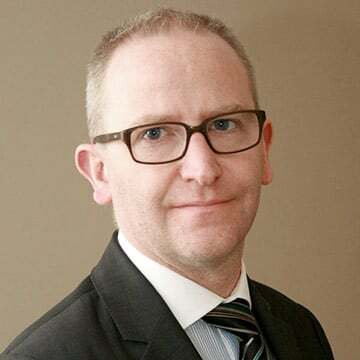 Kenneth has written extensively in the field of European Union law and policy, with a particular focus on the evolving governance and institutional structures of the EU. 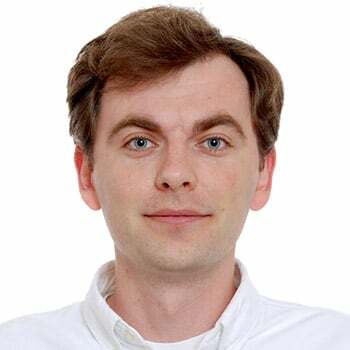 His book Governing Social Inclusion: Europeanization through Policy Coordination was published by Oxford University Press in 2010 and won the 2011 UACES Best Book Prize. His new book called Brexit Time: Leaving the EU - Why, How and When? is published by Cambridge University Press. 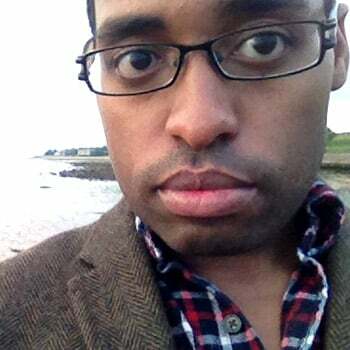 He writes a blog at brexittime.com. 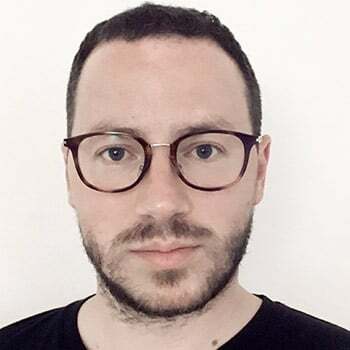 Kenneth has been awarded a Leverhulme Major Research Fellowship to analyse the dynamics of regulatory alignment and divergence after Brexit. 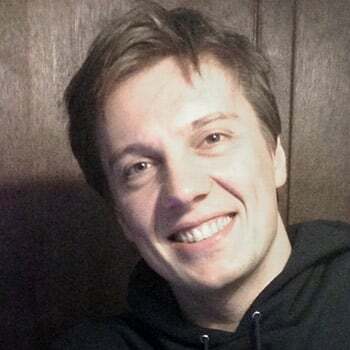 The project will run from 2018-21. His lecture, National Welfare and International Human Rights, was given on 11 June 2018. Abstract: This talk took up the transition in the history of political economy from national welfare states to neoliberal globalization, and how international human rights law relates to both. Abstract: There are huge debates going on about global communication in an age of almost unlimited connectivity. 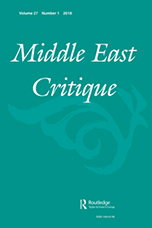 They take place in sociology and law, in media studies and globalization theory. The focus of this lecture is more specific and revives the old concept of a "public sphere", suggested by Jürgen Habermas as early as 1962. In what sense is it possible to speak of a globalpublic sphere? And what kind of history may it be said to have? Until his retirement in March 2018, Jürgen Osterhammel was Professor of Modern and Contemporary History at the University of Konstanz, Germany. 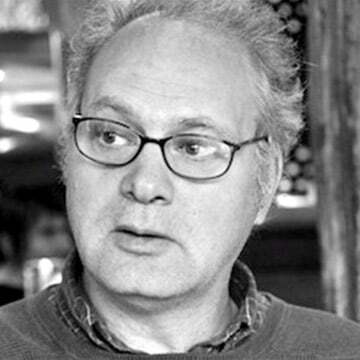 His publications in English include Colonialism: A Theoretical Overview (Marcus Wiener, 1997), Globalization: A Short History (co-authored with Niels P. Petersson, Princeton University Press, 2005); The Transformation of the World: A Global History of the Nineteenth Century (Princeton University Press, 2014);Decolonization: A Short History (co-authored with Jan C. Jansen, Princeton University Press, 2017); and Unfabling the East: The Enlightenment's Encounter with Asia (Princeton University Press, 2018). With Akira Iriye, he is the editor of a six-volume History of the World, published by Harvard University Press since 2012. His most recent book in German isDie Flughöhe der Adler: Historische Essays zur globalen Gegenwart (C. H. Beck, 2017). He is a recipient of several awards including the Leibniz-Preis (2010) and the Toynbee Prize (2017). 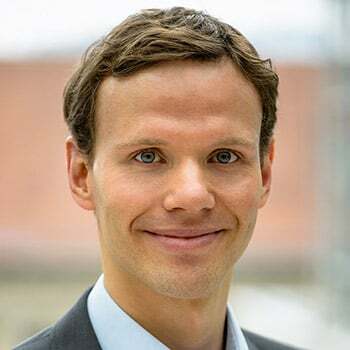 In 2017 he was elected a member of the order Pour le Mérite, the highest distinction for the arts and sciences in Germany. 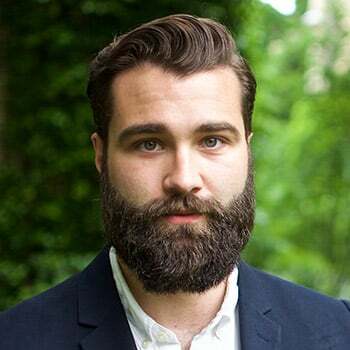 Between 2012 and 2015 he served as Centennial Chair at the Carnegie Council for Ethics in International Affairs in New York. 11th MWP – JMU Graduate Symposium Diverging Problems in the EU was held on 10 April 2018. This joint conference by the EUI’s Max Weber Programme and James Madison University’s MA Program in European Union Policy Studies gave JMU’s MA students in European Union Policy Studies an opportunity to present and discuss their own research with Max Weber Fellows and the wider EUI community in an academic setting. This year, the symposium highlighted ever diverging problems in the EU, including economic, social, political, and security issues. The symposium ended with a keynote lecture by Prof. François Foret, Professor of Political Science at Université Libre de Bruxelles, ‘The European Strategy against Radicalization: A Touch stone of Diversity of National Religions’. Each year, the Max Weber June Conference presents an opportunity to enhance academic exchange and collaboration between different generations of Fellows. At a time of perceived global upheaval and crisis, the goal was to bring together an eclectic group of scholars to discuss some of the major transformations that states and societies have undergone across time and space. The aim was to develop multidisciplinary perspectives on key current, past and likely future challenges faced by local, regional, national and transnational communities. These included, but were not limited to, issues related to income, employment, markets, finance, trade, education, health, mobility, migration, security, gender, sexuality, ethnicity, race, citizenship, religion, the workplace and the environment. This year, we were pleased to welcome Professor Jürgen Osterhammel (University of Konstanz) and Professor Michael Ignatieff (Central European University) as keynote speakers. Per Andersson (MWF SPS), Matthew Canfield (MWF LAW), Alexandra Fotiou (MWF ECO), Vivian Gerrand (MWF RSC), Valentin Jentsch (MWF LAW), Robin Markwica (MWF RSC), Francesco Molteni (MWF ECO), Mishka Sinha (MWF HEC), Cyrille Thiébaut (MWF SPS) and Christos Tsakas (MWF HEC). This workshop aimed to explain the rationale behind Brexit from different perspectives and explain how the European Union’s (EU’s) relationship with the United Kingdom (UK) as well as the rest of the world is likely to be affected. The organizers focused on the two most sensitive areas in which the exclusion of the UK might have serious implications on EU power projection capabilities: international trade and security. Questions examined are as follows: After Brexit, how will the EU security and defense policy proceed? Will the EU focus more or less on civilian (instead of military) conflict resolution techniques? How will EU defense industrial cooperation advance? Will Brexit affect the EU’s normative power? Can we explain the result of the Brexit referendum with insights from the political economy? How will the EU shape its future trade policy vis-à-vis the UK? Under which conditions can both partners continue to have a preferential trade relationship? This workshop explored the issue of cultural transfer from a variety of theoretical, metholodological, and disciplinary perspectives. In our globalizing world, ideas, commodities, and individuals are constantly moving from one cultural context to another. Yet, when scrutinising specific cases, scholars of sociology, history, political science and many other disciplines, find that the kinds of cultural transfer happening all around us are anything but straightforward. The normalcy and ubiquity of these movements conceal fraught questions of interpretation and identity. Regulatory governance is a field of scholarship that has attracted considerable attention over the past decade. Not only does it bring together scholars of different disciplines working on regulation and governance to address important social, economic and political problems, it is also open to different theoretical perspectives and to a variety of methodological approaches. The five Max Weber Fellows who organized and participated in the Regulatory Governance Colloquia drew on a range of sub-disciplinary perspectives to examine a variety of substantive policy domains ‒ such as utilities, environment, food, and labour market regulation ‒ across different polities ‒ such as national and European, European Union, global, local. The Colloquia offered participants the opportunity to be introduced to and learn from different analytical approaches to the study of European and transnational regulation. Each session included two speakers, an invited scholar and a Max Weber Fellow, who shared complementary approaches to the field of inquiry; each presented a twenty minute paper, followed by discussion. Trust matters in the lives of individuals and political communities. It matters whether or not individuals trust one another. It matters that citizens justifiably trust their democratic representatives, if they do trust them. It matters also, both morally and politically, whether an exercise of authority is based on a genuine claim to trustworthiness. As we witness a revival of an interest in trust in public life, politics, and the media, this is a particularly good moment for a group of scholars from different academic traditions and research fields to discuss the various dimensions of trust. On the one hand, political theorists and legal philosophers can benefit from drawing on the rich literature on trust in the social, cognitive, and economic sciences. 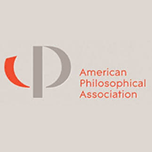 On the other, new dimensions can be added to ongoing work of sociologists, historians, and economists by considering philosophical writings on the attitude of trust. There is much we can learn from each other. The workshop aimed to contribute to a better understanding of trust and why it matters in personal relationships, social interactions, and political communities. This workshop addressed the question of what is to become of European security in an age of American restraint? What are the EU’s options if American policy indeed shifts toward retrenchment? Will Europeans try to insist to be kept under the US security umbrella? Or rather, will they strive to take care of their own security? Are any intermediate policy options possible? What political, societal, economic and military factors will determine this choice? Will the EU be united or divided in this policy decision-making process? Moreover, what military-technological deficiencies does the EU need to address when it tries to decide between possible policy options? Fears of Trolls and Little Green Men: Does Hybrid Warfare Work, for Whom, and Where? Hybrid warfare has become a buzzword for scholars, policymakers, and journalists to describe Russian intervention in Ukraine.The use of online misinformation, cyberattacks on infrastructure, the covert insertion of forces, and so on, seemed highly successful tactics to accomplish Russian goals of destabilization. 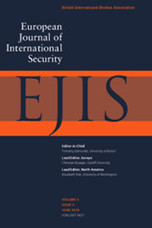 Given that new prominence, scholars and policy analysts have hotly debated how we can define hybrid warfare to establish the analytical leverage of the concept, or whether hybrid warfare is new after all (Giles 2016; Renz and Smith 2016).However, little has been discussed so far regarding whether hybrid warfare, understood as the blend of multiple conventional and unconventional methods to fight, is in fact an effective strategy and, if so, for whom and at which level. 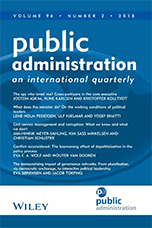 Can states accomplish more than short-term gains, such as undermining the legitimacy and cohesion of adversaries, or conversely strengthening domestic support (Chiozza and Goemans 2011)? Or is possible to achieve long-term strategic goals? In short, how much should we fear online trolls and little green men? Understanding what goals hybrid warfare can effectively achieve is therefore crucial. This workshop brought expertise in warfare and security studies with multidisciplinary perspectives, including strategic studies, military history, and political science, thereby shedding new light on the hotly topic of hybrid warfare with analytical and empirical rigor. This one-day workshop was dedicated to modern receptions and readings of the Epicurean tradition (and its relations to Classic and Hellenistic philosophies). From the materialists and mortalists in theological debates in England (17th century), to the French libertines and free-spirits, passing through Hobbes, Spinoza and Rousseau and, finally Marx, Guyau and Nietzsche (in the 19th century), the workshop investigated the continuity of Epicurean themes in Western thought, emphasising its social and political implications. Traditionally considered as a form of withdrawal from political arena, Epicureanism has been characterised as the apolitical doctrine par excellence. However, the hegemony of this view has become target of careful historical and philosophical criticism, one that shows the political aspects of Epicurus’ philosophy. If, on the one hand, the Stoics developed a reflection on politics beyond the limits of the polis (extending it to the cosmos), playing a central role in the modern discussion on social duties and natural law; on the other, Epicureans dedicated their attention to smaller, subtler forms of association, such as friendship, below the level of the city laws and walls. The Epicurean tradition played a central role in the modern discussion on the conventionality of law and justice, the notion of social contract, and on the idea of social progress. Notions such as friendship, conventional justice, social contract, utility, and the passions mark the modern engagement with the work of Epicurus, Lucretius and the Epicurean school. The workshop was interdisciplinary, situating itself in the intersection between philosophy, intellectual history, history of political thought and political theory, bringing together researchers concerned with modern Epicureanism, especially its repercussion in politics, social theory, ethics and moral philosophy. The aim of this workshop was twofold. On one hand, the organizers planned to address the overarching definitional question of what corruption is and how we identify it. To this end, the first session hosted a book symposium of a recent comprehensive work on corruption, Making Sense of Corruption, by Bo Rothstein and Aiysha Varraich (Cambridge University Press 2017), and a hands-on presentation on corruption and clientelism in the Lebanese context. On the other hand, they intended to focus on the origins of corruptive human behaviour. Why do people behave corruptly in general? Why are some people ready to cooperate in order to increase their wealth at the expense of a third party? Why are some others willing to make efforts in order to punish corrupt behaviour? The second session of the workshop was dedicated to the understanding of corruption as a social norm and it aimed to explore the issue from the perspective of experimentalist economics. The recent crisis has put taxation and fiscal policy at the centre-stage of academic and policy debates. The limits of monetary policy acting on its own, the debt troubles of European countries and the difficulties in implementing effective and coordinated policies to fight the crisis have raised numerous questions on how to conduct fiscal policy at both the national and international level. 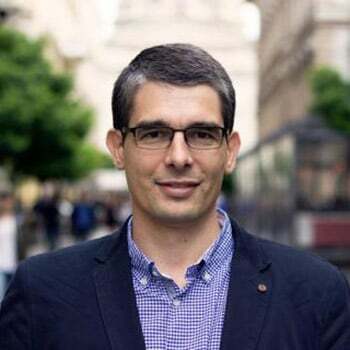 Independentist movements in a number of European countries have also brought attention back to the issue of the relationship between local and central governments in the fiscal, as well as other, realms. Much remains to be learned regarding the effectiveness and optimal design of fiscal policy and, more broadly, the way states tax, borrow and spend public funds. Politics, economics, history and myriad other factors intertwine to determine the policy options available to states, the obstacles they face, and the practical implementation of policies. While an interdisciplinary approach to these questions is desirable, it is also clearly underutilized. Today scholars are scattered between social science disciplines. Because of this organizational fragmentation there is need to create opportunities for scholars working on taxation and public finance to meet and exchange ideas. The organizers believed that this workshop could be a first step towards this direction. Eurosceptic and nationalist forces have been gaining ground in many Member States. The ideal of an ever closer union, built on fundamental freedoms and the rule of law, has been shaken by the UK’s decision to leave the EU and by illiberal democratic developments in Hungary and Poland. The free movement of citizens, economic migration and the influx of third-country refugees tend to be particularly controversial in the Member States. Against this backdrop, the conference examined to what extent the EU is being politicised and its law challenged in the Member States. 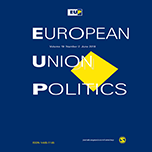 The focus was not only on Member States that are known to be highly critical of the EU; for a complete picture, the aim was rather to find out whether challenges to EU law and governance are frequent occurrences or merely highly visible exceptions. The conference had two objectives. The first was to establish whether Euroscepticism takes the form of specific criticism of EU legislation and case law. Do governments and/or political parties criticise particular pieces of EU law and policy, and do they propose, or take, initiatives that are incompatible with those of the Union? Second, the conference explored to what extent criticism of the EU is translated into actual changes in national law. Is Eurosceptic rhetoric made manifest in the domestic legislation or case law of the Member States? As Western democracies display an increasing ambivalence towards liberal internationalism, this workshop explored the dual nature of international institutions as both a source of political leverage and instability for modern nation-states. International institutions emerged in the context of the long transition from a world of empires to a world of autonomous nation-states. During the course of the twentieth century national communities have frequently used international organizations to assert their influence over foreign relations and the world economy. At the same time, a variety of actors have disrupted the locus of national political legitimacy by harnessing international structures to advance moral and legal claims. International institutions have also generated conflict by reinforcing asymmetries within and between different national communities, often as a legacy of imperial rule. The recent wave of ‘anti-globalist’ and anti-European sentiment has highlighted these ambiguities and elicited nationalist reinterpretations of international standards and norms. Considering these changing perceptions in the political mainstream, the workshop will assess whether the staying power that sustained international institutions during the twentieth century will continue in the twenty-first. The organizers aimed to facilitate a wide-ranging discussion of current nationalist and populist critiques of European and international institutions that will bridge the fields of political science, history, and law. The event also constituted an opportunity to discuss, in an interdisciplinary context, recent literature addressing these tensions, such as Mark Mazower’s No Enchanted Palace, Glenda Sluga’s Internationalism in the Age of Nationalism, Oona Hathaway and Scott Shapiro’s The Internationalists, Jan-Werner Müller’s What is Populism?, Guy Fiti Sinclair’s To Reform the World, and Samuel Moyn’s Not Enough: Human Rights in an Unequal World. This workshop welcomes multidisciplinary perspectives in order to generate new insights into the potential role of image-making practices in the prevention of violence, broadly defined, and the specific question of violent extremism. The workshop therefore includes speakers from a variety of backgrounds and disciplines, who have particular concern with image-making and representation, and the intersection of this with violence and violent extremism. 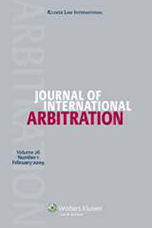 Sylvanus Kwaku Afesorgbor (RSC 2015-16), The impact of economic sanctions on international trade: How do threatened sanctions compare with imposed sanctions?, European Journal of Political Economy (2018), doi.org/10.1016/j.ejpoleco.2018.06.002. 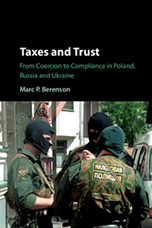 Marc Berenson (SPS 2007-08) Taxes and Trust: From Coercion to Compliance in Poland, Russia and Ukraine, Cambridge University Press. 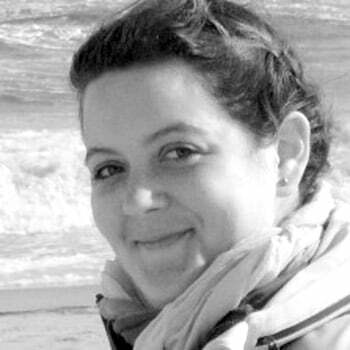 Giulia Bonazza (HEC 2016-17) ‘Connecting the Mediterranean and the Atlantic: forms of slavery in Naples and Rome (1750- 1850)’, Journal of Global Slavery, 3 (2018): 152-175. 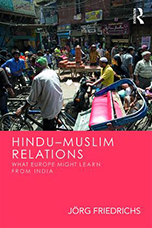 Joerg Friedrichs (SPS 2006-07), Hindu–Muslim Relations: What Europe Might Learn from India, Routledge forthcoming. 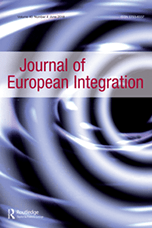 Joerg Friedrichs (SPS 2006-07), Intermestic Relations: Managing Transnational Bonds. 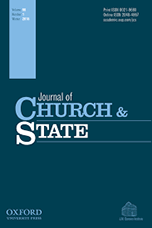 Joerg Friedrichs (SPS 2006-07), Outlandish Christendom: The Catholic Church in India and China. 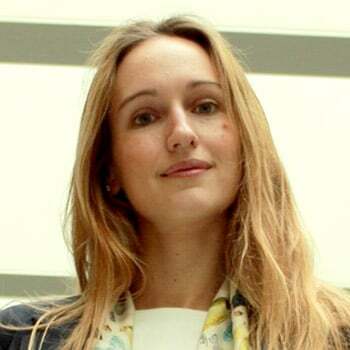 Belen Giupponi (LAW 2007-09), Trade Agreements, Investment Protection and Dispute Settlement in Latin America (Kluwer International, forthcoming). 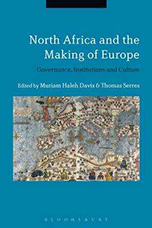 Aitana Guia (RSC 2015-16), ‘Nativism, Gendered Islamophobia and Muslim Activism in Spanish North Africa’., in North Africa and the Making of Europe: Governance, Institutions and Culture, edited by Muriam Haleh Davis (HEC 2015-16) and Thomas Serres, 133-154. London: Bloomsbury Academic Publishing, 2018. 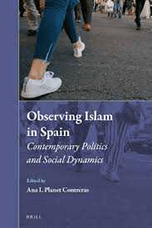 Aitana Guia (RSC 2015-16), ‘Politically Active Muslim Women: Embracing Citizenship and Feminism in Democratic Spain.’, in Observing Islam in Spain, edited by Ana I. Planet and Angeles Ramirez. Leiden: Brill, 2018. 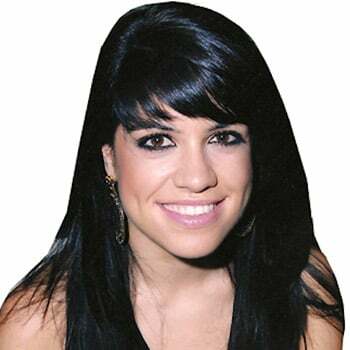 Aitana Guia (RSC 2015-16), ‘Ni tan lejos, ni tan cerca. 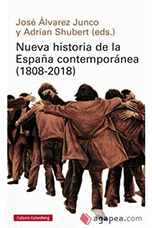 Las migraciones en la España contemporánea.’, in Historia de España contemporánea: Cronologías, temas, e individuos, edited by José Álvarez Junco and Adrian Shubert, Madrid: Galaxia Gutemberg, 2018. 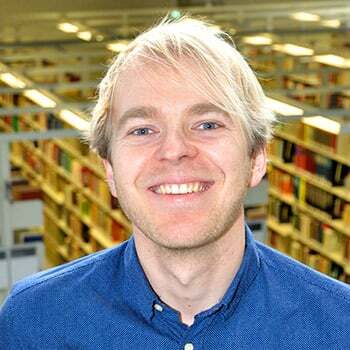 Rasmus Hoffmann (SPS 2008-09) with Kröger H., Geyer S. (2018) ‘Social causation versus health selection in the life course – does their relative importance differ by dimension of SES?’, Social Indicators Research, online first, open access. 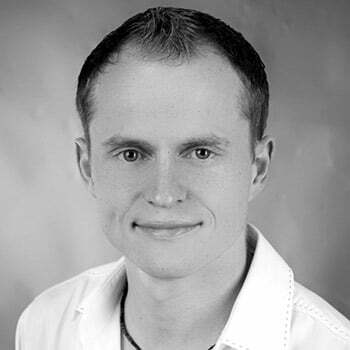 Rasmus Hoffmann (SPS 2008-09) with Kröger H., Pakpahan E. (2018) ‘Pathways between socioeconomic status and health: Does health selection or social causation dominate in Europe?’, Advances in Life Course Research,Volume 36, Pages 23-36, open access. Alexander Katsaitis (RSC 2016-17) with David Coen ‘Between cheap talk and epistocracy: The logic of interest group access in the European Parliament's committee hearings’, in Public Administration doi.org/10.1111/padm.12406. 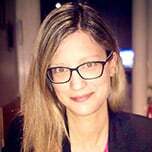 Alexia Katsanidou (SPS 2009-10) (with Simon Otjes) ‘Beyond Kriesiland: EU integration as a super issue after the Eurocrisis’, European Journal of Political Research, Volume 56, Issue2, May 2017, Pages 301-319. 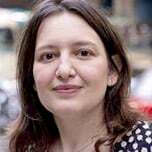 Zoe Lefkofridi (SPS 2013-15) and Alexia Katsanidou (SPS 2009-10), ‘A Step Closer to a Transnational Party System? Competition and Coherence in the 2009 and 2014 European Parliament’. 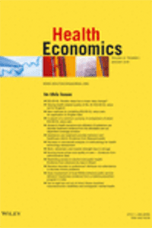 In press, Journal of Common Market Studies. DOI:10.1111/jcms.12755. Katharina Lenner (SPS 2015-16) with Lewis Turner ‘Making Refugees Work? 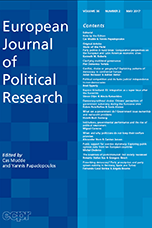 The Politics of Integrating Syrian Refugees into the Labor Market in Jordan.’ In Middle East Critique, 30 April 2018, pp.1-32, doi.org/10.1080/19436149.2018.1462601 [open access]. 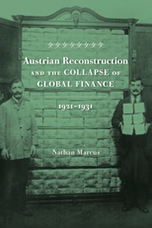 Nathan Marcus (HEC 2010-12) Austrian Reconstruction and the Collapse of Global Finance, 1921–1931, Harvard University Press. 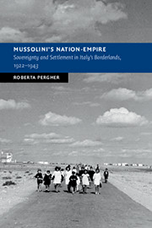 Roberta Pergher (HEC 2008-09) Mussolini’s Nation-Empire: Sovereignty and Settlement in Italy's Borderlands, 1922-1943, Cambridge: Cambridge University Press, 2018. 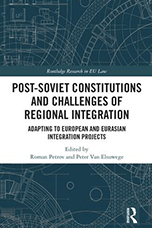 Roman Petrov (HEC 2017-18) with Peter Van Elsuwege, Post-Soviet Constitutions and Challenges of Regional Integration, Routledge 2017. 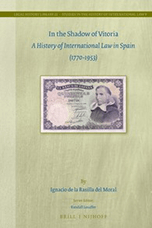 Ignacio de la Rasilla del Moral (LAW 2011-12) In the Shadow of Vitoria - A History of International Law in Spain (1770-1953) Brill/Nijhoff (2017). 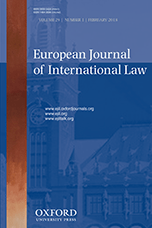 Ignacio de la Rasilla del Moral (LAW 2011-12) ‘A Very Short History of International Law Journals 1869-2018’ 29 European Journal of International Law (2018) 137–168. 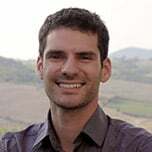 Brandon Restrepo (ECO 2012-14) with Marcus Y. Nagakuma ‘Restricting access to alcohol and public health: Evidence from electoral dry laws in Brazil’ in Health Economics. 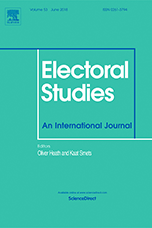 Ruben Ruiz Rufino (SPS 2007-08) ‘Tying Incumbents’ Hands: The Effects of Election Monitoring on Electoral Outcomes.’ (with Nasos Roussias), Electoral Studies (Forthcoming). 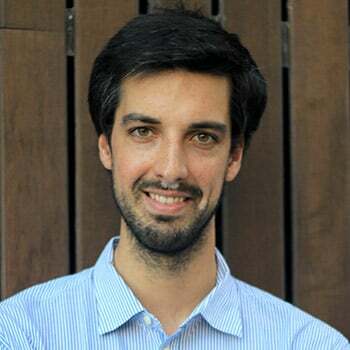 Ruben Ruiz Rufino (SPS 2007-08)‘The Costs of Responsibility for the Political Establishment of the Eurozone (1999-2015)’. 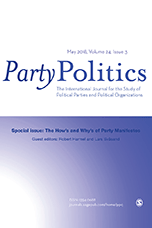 (with Sonia Alonso) Party Politics (Forthcoming). Violet Soen (LAW 2008-09) ed. 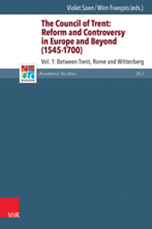 with Wim François, The Council of Trent: Reform and Controversy in Europe and Beyond (1545–1700), 3 vol., 2018. 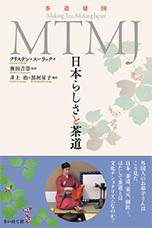 Kristin Surak (SPS 2010-11) Making Tea, Making Japan, was released in as Japanese MTMJ: 日本らしさと茶道MTMJ by Saihatesha Press, Tokyo. 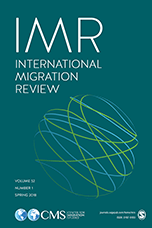 Kristin Surak (SPS 2010-11) ‘Migration Industries and the State: Guestwork Programs in East Asia.’ International Migration Review 2018. 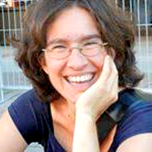 Inés Valdez (SPS 2011-12) "It's not about Race: Good Wars, Bad Wars, and the Origins of Kant's Anti-Colonialism." 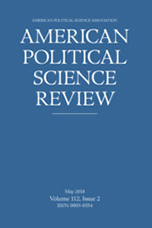 American Political Science Review , 2017, 111 (4):819–34. 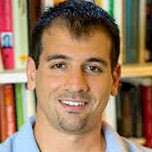 Phillip Ayoub (SPS 2013-14) was awarded tenure as Associate Professor at Drexel University. 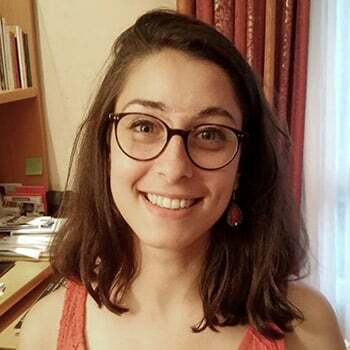 Giulia Bonazza (HEC 2016-17) as of September 2018 will hold a Fellowship at the DHI (Deutsches Historisches Instititut) in Rome. 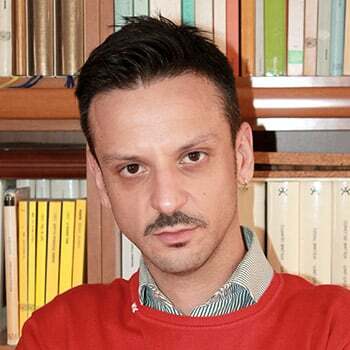 Angelo Caglioti (HEC 2017-18) as of September 2018 will be a lecturer in history of science at Berkeley and will later join the Rachel Carson Center for Environment and Society at the Ludwig-Maximilians Universität in Munich with a writing fellowship. 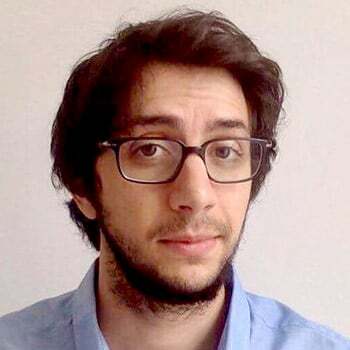 Leonardo Carrio Cataldi (HEC 2017-18) during the forthcoming year (2018-19) will join the Casa de Velázquez as a member of the École des hautes études hispaniques et ibériques. 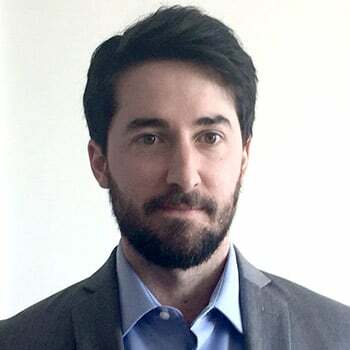 Between September and December, he will be a Berenson Fellow at the Harvard University Center for Italian Renaissance Studies, Villa I Tatti. 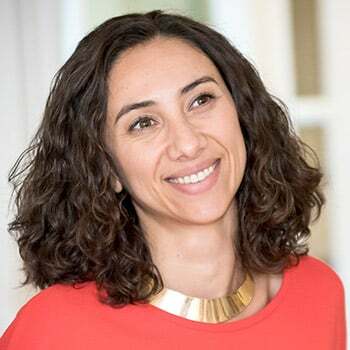 Ayça Cubucku (LAW 2009-10) is Associate Professor in Human Rights at the London School of Economics and Political Science, and has been appointed as the Co-Director of LSE Human Rights. 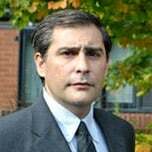 Ignacio de la Rasilla del Moral (LAW 2011-12) as of 1st July 2018 is Han Depei Chair Professor of International Law, Wuhan University Institute of International Law. 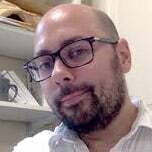 David Do Paço (HEC 2013-15) is Assistant Professor in eighteenth-century history at Sciences Po. 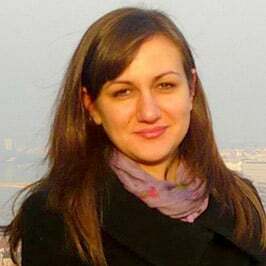 Valentina Fava (HEC 2006-08) is Purkyně Fellow, Institute for Contemporary History, Czech Academy of Sciences. 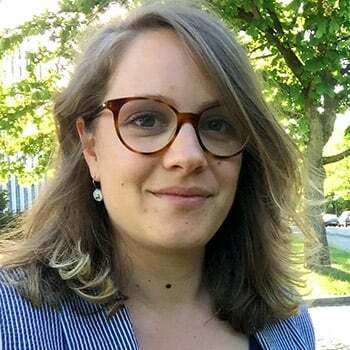 Vivian Gerrand (RSC 2017-18) in August 2018 will take up a 3-year research fellow position at the Alfred Deakin Institute for Citizenship and Globalisation, Deakin University, in Melbourne, Australia. 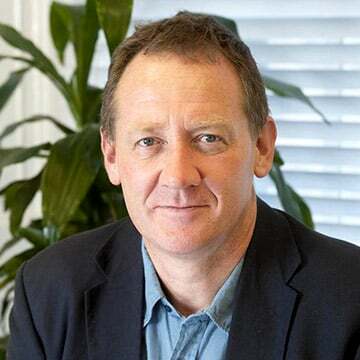 During this appointment, Vivian will be Coordinator of the AVERT (Addressing Violent Extremism and Radicalisation to Terrorism - www.avert.net.au) Research Network. 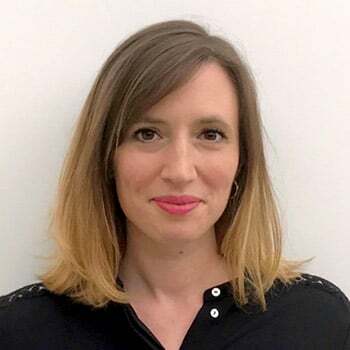 Belen Giupponi (LAW 2009-10) as of May 2018 is an Associate Professor of Law and Head of the Law Department at Kingston University London. 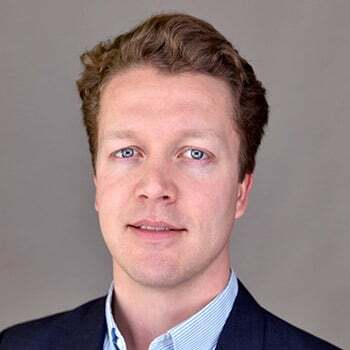 Paul van Hooft (SPS 2016-18) will be a 2018-19 Stanton Nuclear Security Fellow at the Security Studies program of MIT. 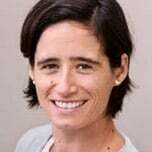 Ana Hosne (HEC 2010-11) has been appointed Tenured Researcher, National Scientific and Technical Research Council (CONICET), Argentina. 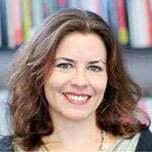 Alexia Katsanidou (SPS 2009-10) from June 2018 is full Professor of Empirical Social Research at the University of Cologne and the scientific director of the GESIS Department Data Archive for the Social Sciences. 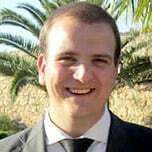 Stefano Marcuzzi (RSC 2016-18) will move to Carnegie Europe to carry out his research project funded by a CAROLINE-Marie Curie Fellowship. 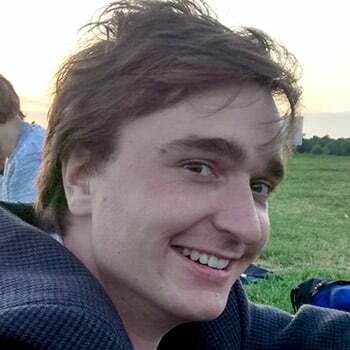 Gregor Maučec (LAW 2017-18) as of September 2018 is joining the Centre of Excellence for International Courts (iCourts) at the University of Copenhagen as a Marie Skłodowska-Curie Individual Fellow. 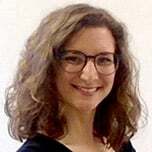 Marta Morvillo (LAW 2017-18) as of September 2018 will be a Marie Sklodowska Curie Fellow at the Amsterdam Centre for European Law and Governance (University of Amsterdam) for the period 2018-2020. 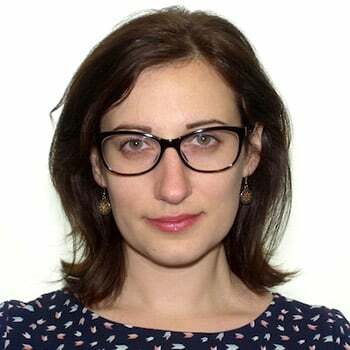 Katherina Maria Motyl (HEC 2017-18) is moving to a position of Assistant Professor in the Department of History in the College of Liberal Arts at Temple University in Philadelphia, PA.
Michal Onderco (SPS 2014-15) in 2018-2019 will be CISAC Junior Faculty Fellow at Stanford, sponsored by the MacArthur Foundation. 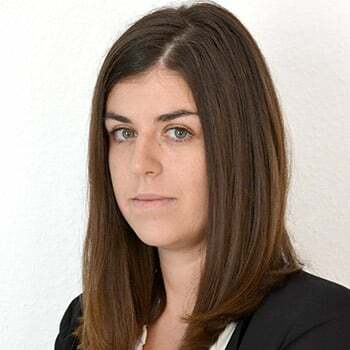 Clara Rauchegger (LAW 2016-18) as of December 2018 will be a senior postdoctoral fellow at the University of Innsbruck. 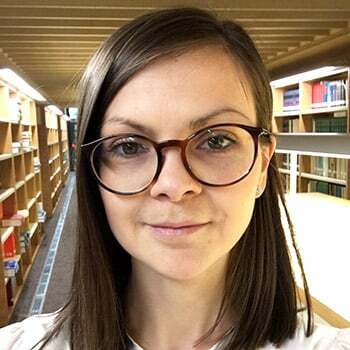 Carolin Schmitz (HEC 2017-18) as of September 2018 will join the Department of History and Philosophy of Science, University of Cambridge. 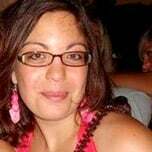 Violet Soen (HEC 2008-09) held the P.P. 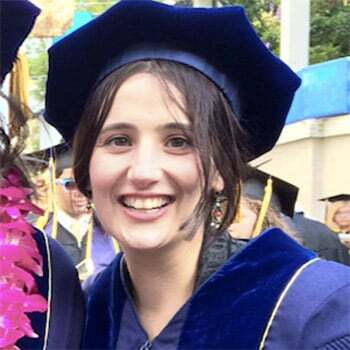 Rubens-Chair at the University of California, Berkeley (Spring Semester 2018), after which she is returning to her regular position as Associate at KU Leuven. 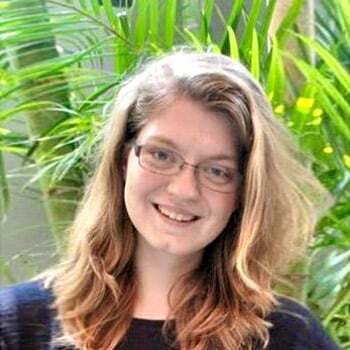 Kristin Surak (SPS 2010-11) of the University of London was named a Fung Global Fellow at Princeton University for the 2018 academic year. 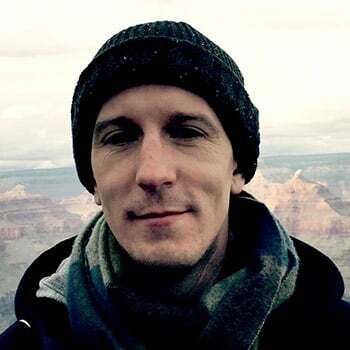 Gary Winslett (RSC 2016-17) is now an Assistant Professor at Middlebury College, USA. 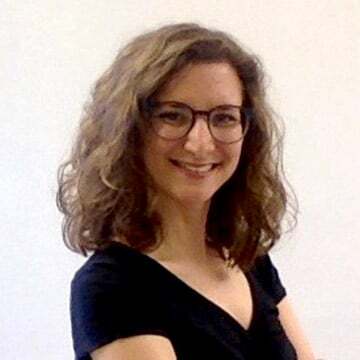 Eugenia Vella (ECO 2013-14) will be Marie Skłodowska-Curie Individual Fellow at the Universitat Autònoma de Barcelona, in Spain for two years based in the Markets, Organizations and Votes in Economics (MOVE) research institute, working alongside Professor Jordi Caballe. 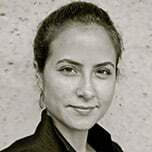 Ines Valdez (SPS 2011-12) will be a Humboldt Stiftung Experienced Researcher Fellow hosted in Delmenhorst and Berlin in the next three years beginning in in the Spring of 2019, at the Hanse-Wissenschaftskolleg. 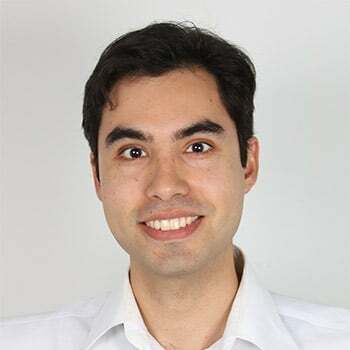 Alexandre Afonso (SPS 2010-11) was awarded a VIDI Research Grant by the Dutch Science Organisation (NWO) for a project on the relationship between welfare states and immigration policies. 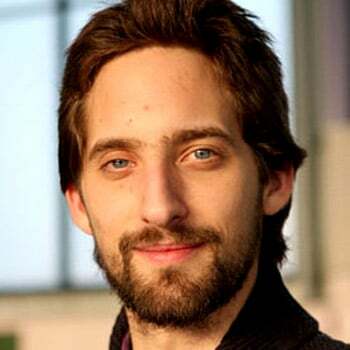 The grant is worth 800,000 Euros and will fund his research for the next 5 years. www.universiteitleiden.nl. 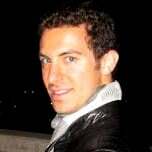 Philip Ayoub (SPS 2013-14) won the Drexel University Provost's Early Career Award for outstanding scholarly productivity. 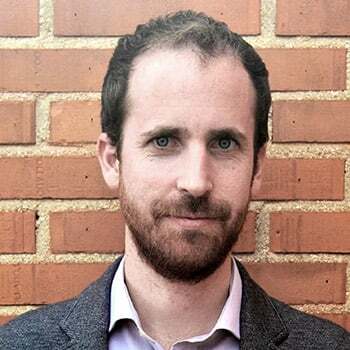 James Cross (SPS 2012-13), won the award for the best paper published in the journal European Union Politics in 2017 for his article ‘Legislative amendments and informal politics in the European Union: A text reuse approach’ (with Henrik Hermansson). 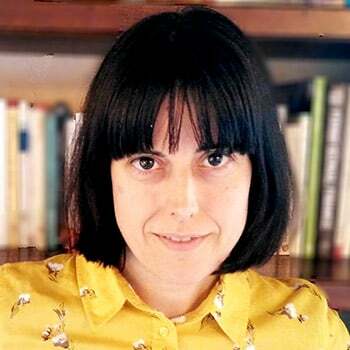 Aitana Guia (RSC 2015-16), was awarded the 2018 California State University Fullerton Junior Intramural Grant for the project ‘Healthy Cities, Thriving Humans: Car Culture, Environmental Social Movements, and the Greening of the River Turia in Valencia, Spain (1957-2018)’. 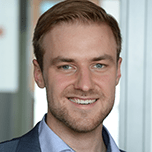 Lukas Haffert (SPS 2014-15) has been elected to the German "Young Academy", www.mpifg.de. 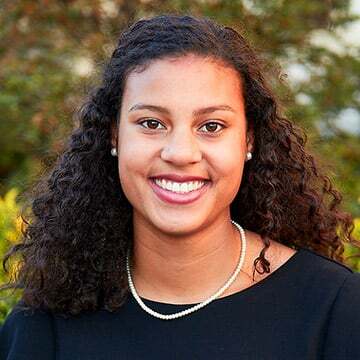 Marina Henke (SPS 2017-18) is a co-winner of the International Studies Association (ISA)'s 2018 Diplomatic Studies Section's Article award for the article ‘The Politics of Diplomacy: How the United States Builds Multilateral Military Coalitions’. 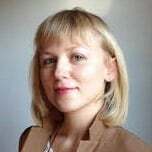 Katarzyna Kryla Cudna (LAW 2016-17) won the national prize for the best doctoral thesis in private law. The prize was awarded by the C.H. 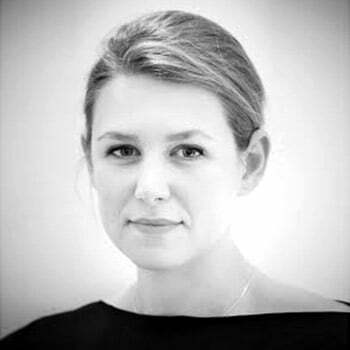 Beck publishing house; she also won the Best Teacher Award 2018 at Tilburg Law School in the category ‘the upcoming talent’. 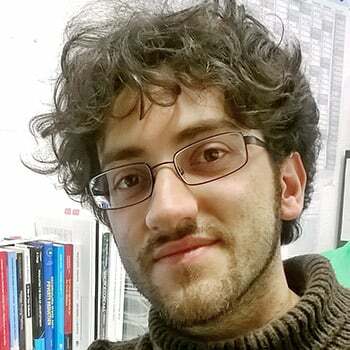 Stefano Marcuzzi (RSC 2016-18) was awarded a CAROLINE Marie Curie Fellowship. 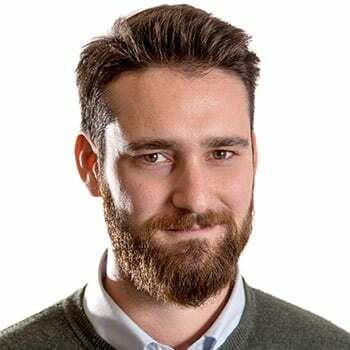 Gregor Maučec (LAW 2017-18) was awarded a Marie Skłodowska-Curie Individual Fellowship to work on the project INCRICO that investigates the ways in which the International Criminal Court (ICC) perceives its judicial function and how this impacts its legal practices. 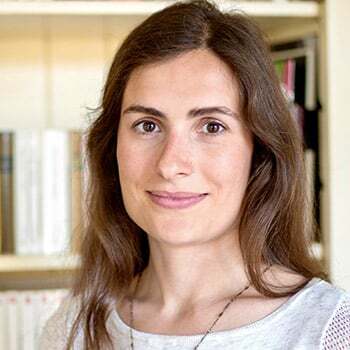 Marta Morvillo (LAW 2017-18) was awarded a Marie Sklodowska Curie Fellowship to carry out her project ’The constitutional place of expertise’ at the Amsterdam Centre for European Law and Governance (University of Amsterdam) 2018-2020. 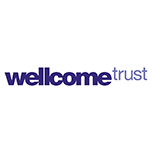 Carolin Schmitz (HEC 2017-18) was awarded a Wellcome Trust grant to carry out her next project on medical encounters and social order. 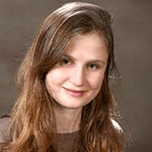 Katalin Straner (HEC 2016-17) has been awarded the 2018 Edward C. Carter II Fellowship from the American Philosophical Association for her project ‘Darwin in Hungary: The Translation and Reception of Evolution in Habsburg Central Europe’. 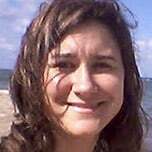 Ines Valdez (SPS 2011-12) has received a three year Humboldt Stiftung Fellowship for Experienced Researchers. 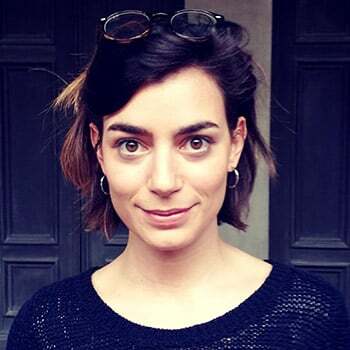 Eugenia Vella (ECO 2013-14) was awarded a two year Marie Skłodowska-Curie Individual Fellowship to work on a macroeconomics research project ‘Fiscal Consolidation, Unemployment and Labour Mobility in the Euro Area’. Ana Hosne (HEC 2010-11) married Lionel Rivetti in Paris in May 2017. 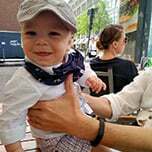 Violet Soen (HEC 2008-09) welcomed Alexander in September 2017. 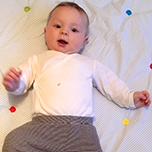 Katharina Lenner (SPS 2015-16) and Cameron Thibos welcomed baby Robin on 30 November 2017. 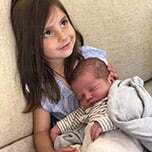 Alexia Katsanidou (SPS 2009-10) welcomed Ion, born in May 2017. 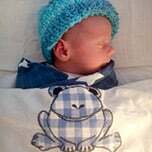 Karin Marie DeVries (LAW 2011-12) and Duco Nunes Ferro, with siblings David and Katrine, welcomed little Kaspar on 1 February 2018. 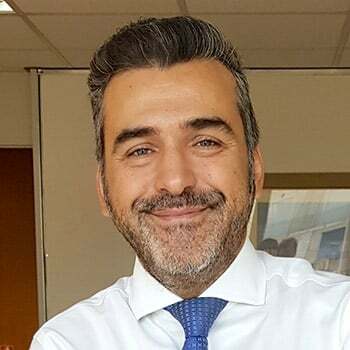 Ignacio de la Rasilla del Moral (LAW 2011-12) welcomed Cristina Rya de la Rasilla Hao, born 3 May 2018. 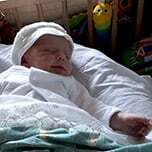 Alexander Katsaitis (RSC 2015-16), his wife Rebecka and older sister Aélia welcomed Milian born on 27 May 2018. 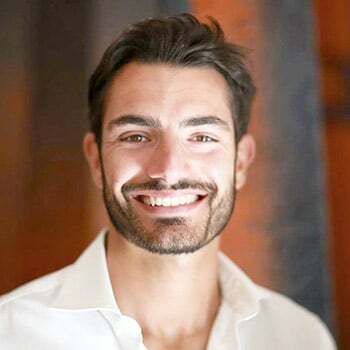 Giulia Tura (ECO 2017-19) and Giovanni Bartoncello welcomed Giovanni born on 31 May 2018.